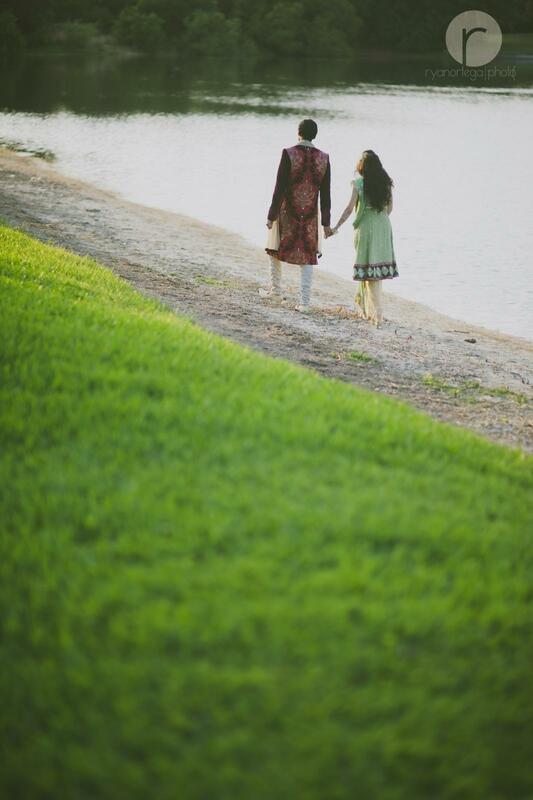 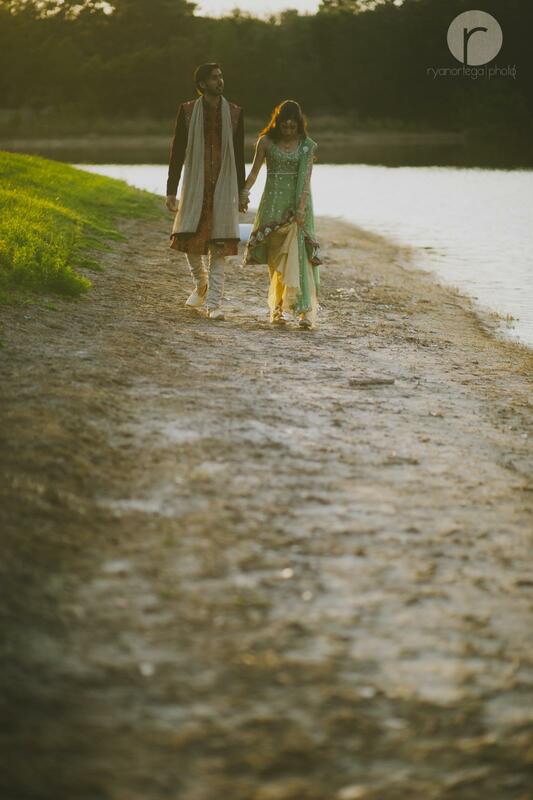 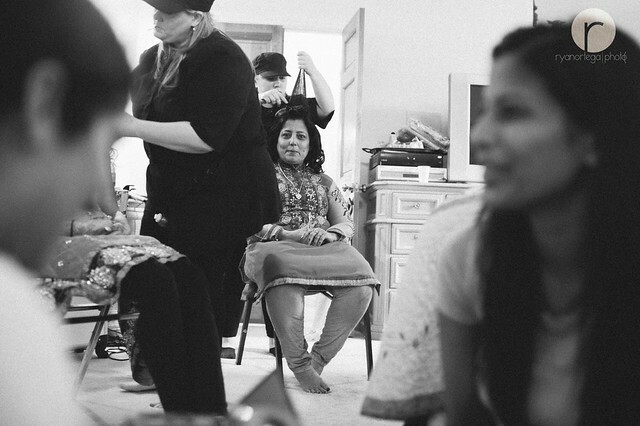 This is the second day of the Indian Wedding of Ronjeet+Mohini. 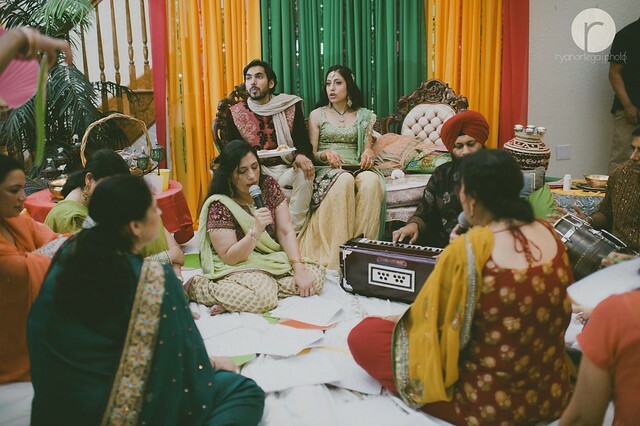 This is known as the Sangeet. 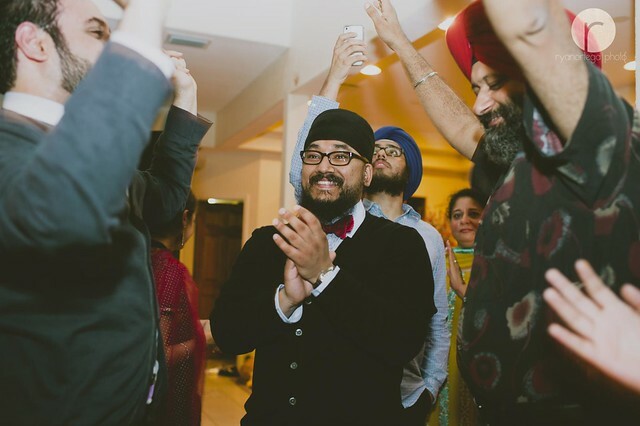 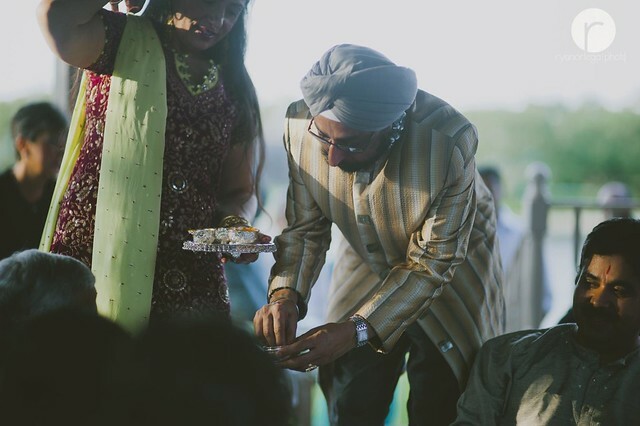 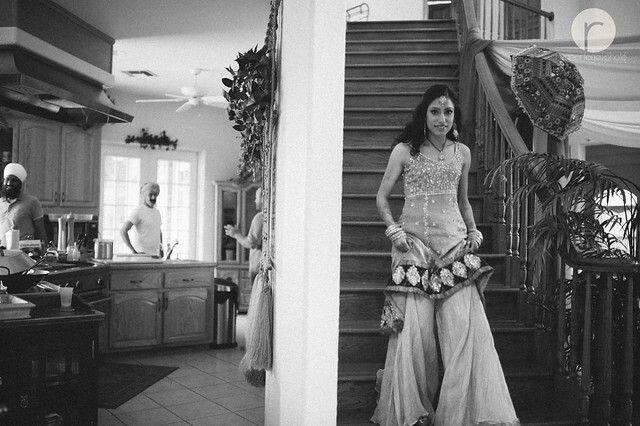 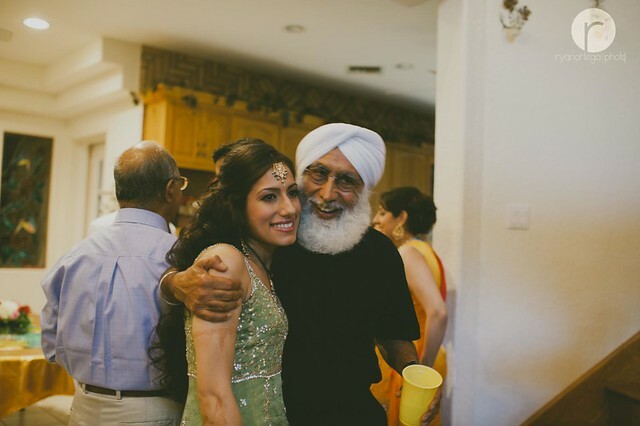 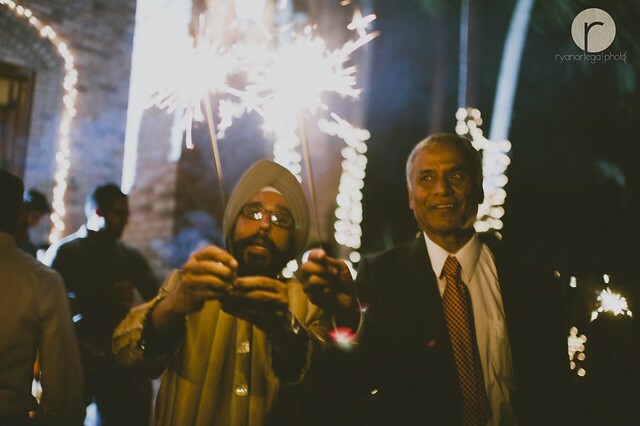 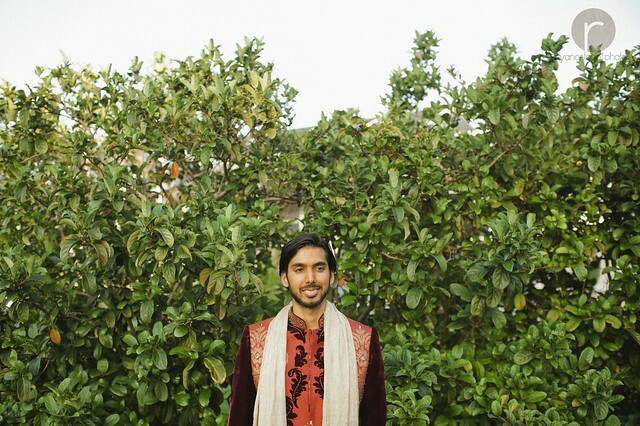 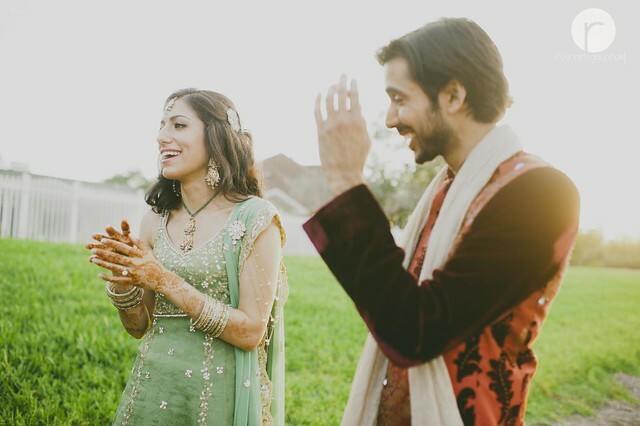 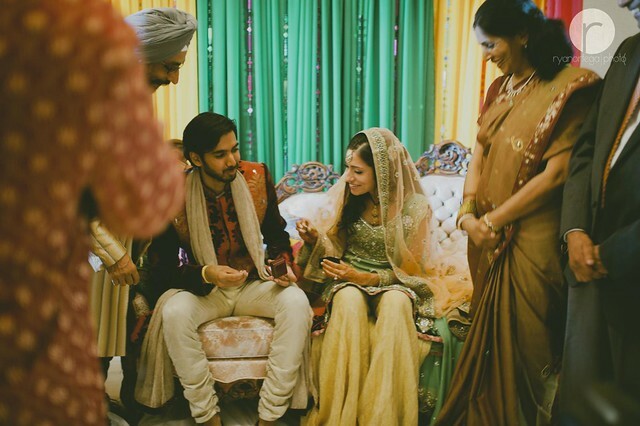 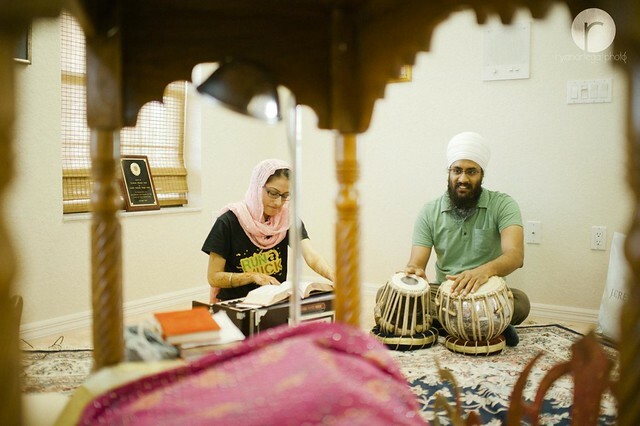 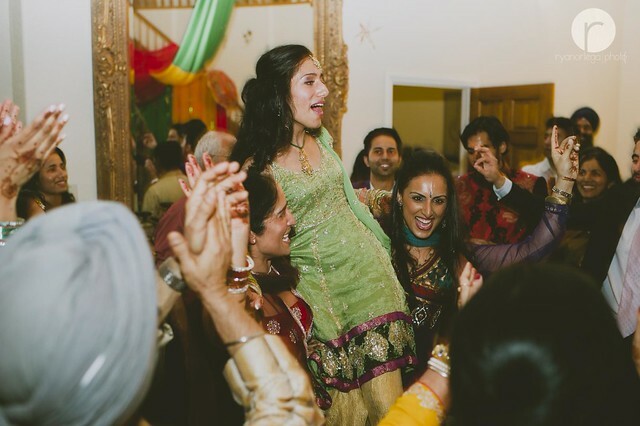 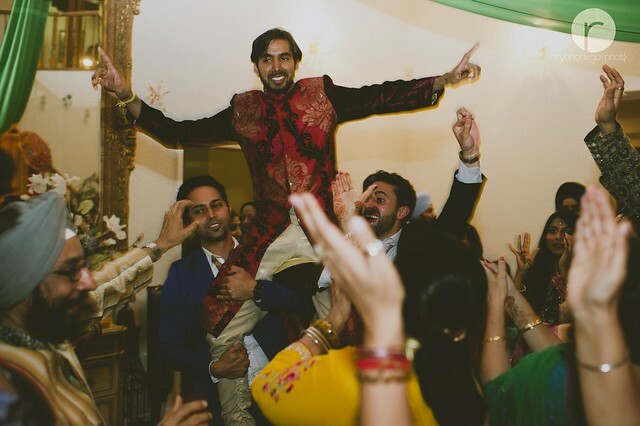 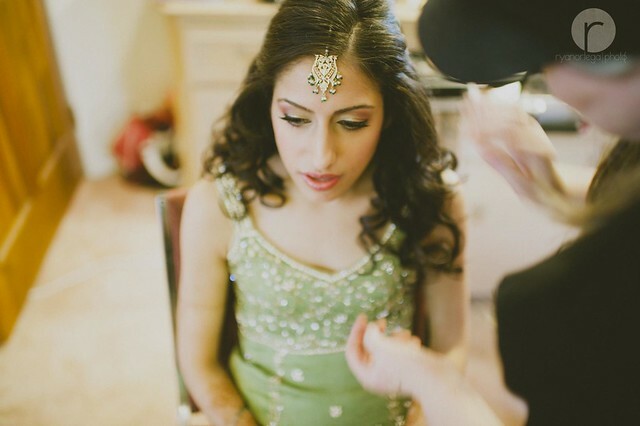 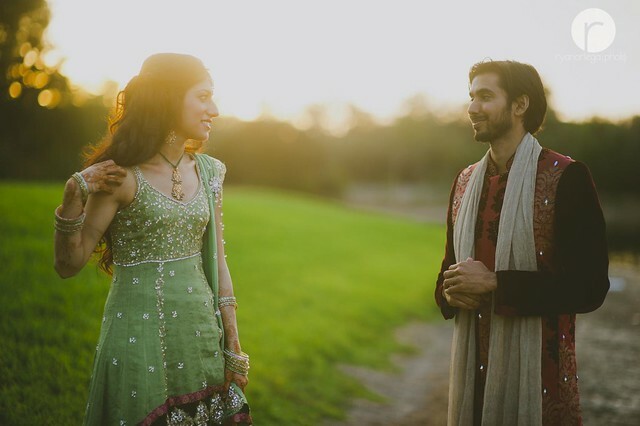 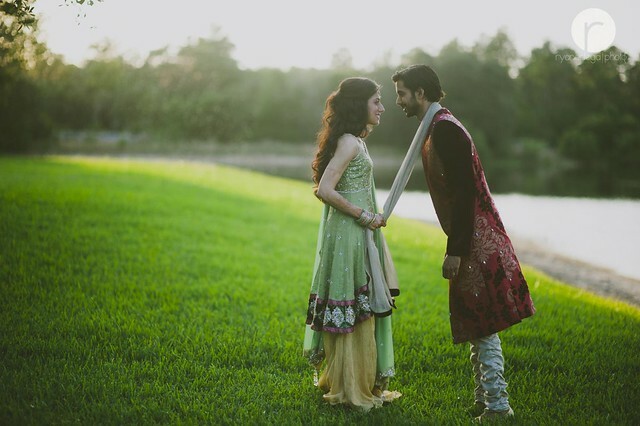 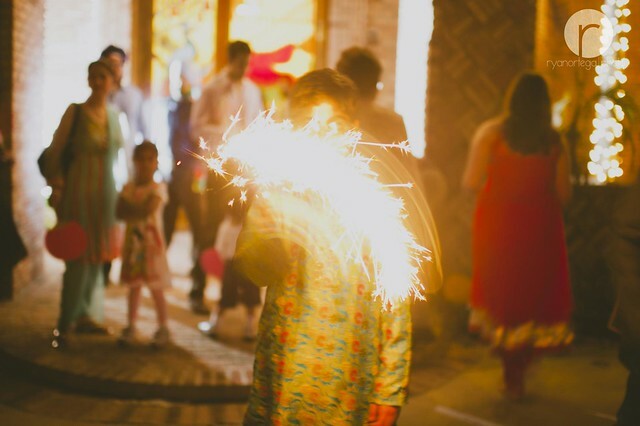 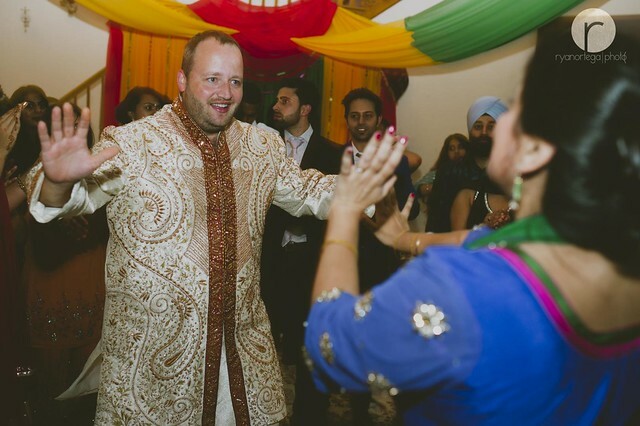 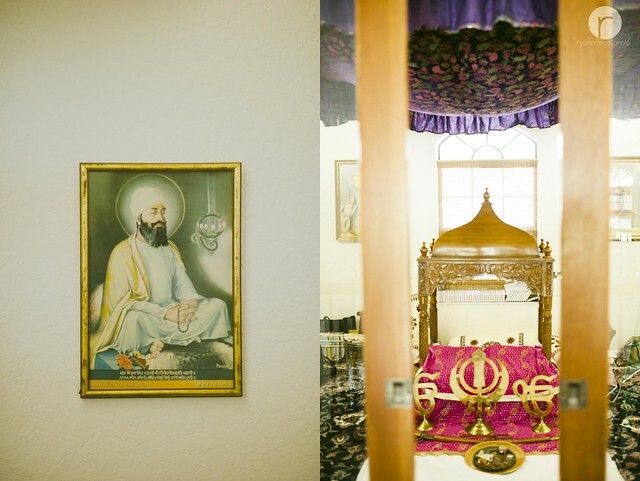 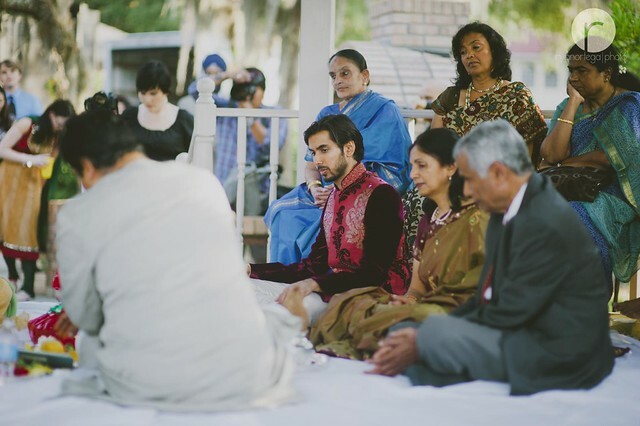 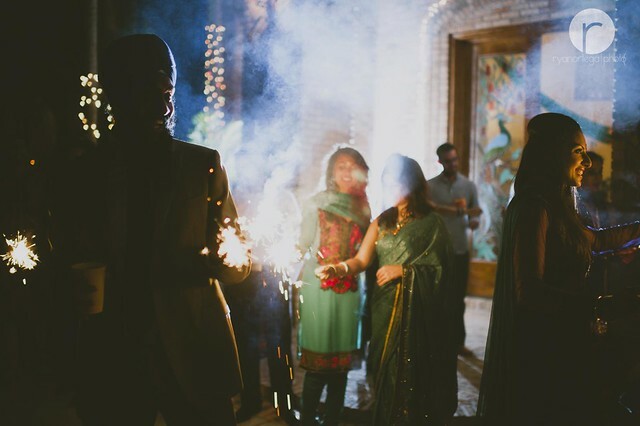 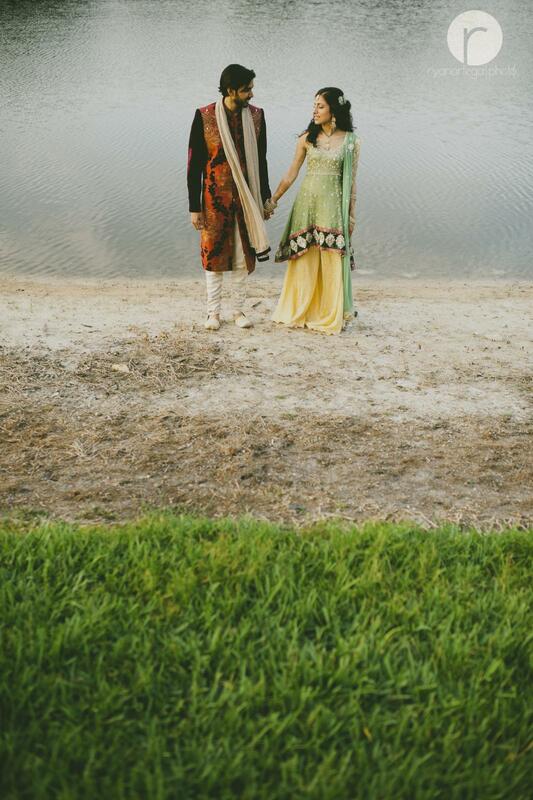 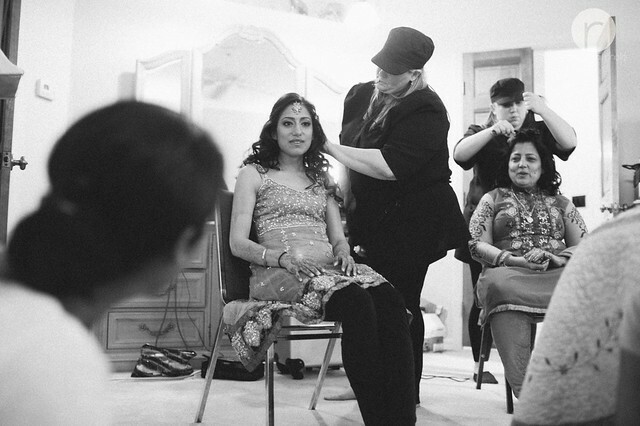 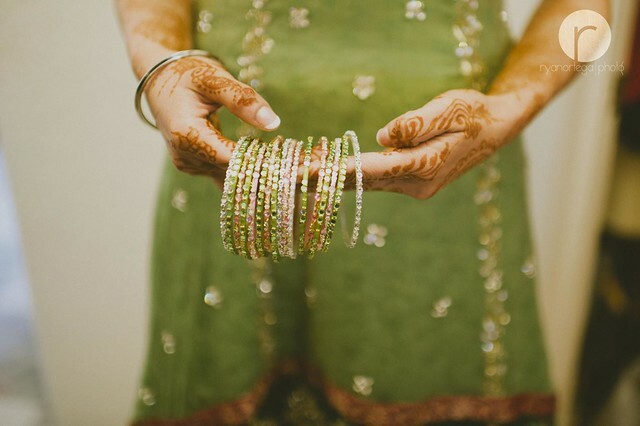 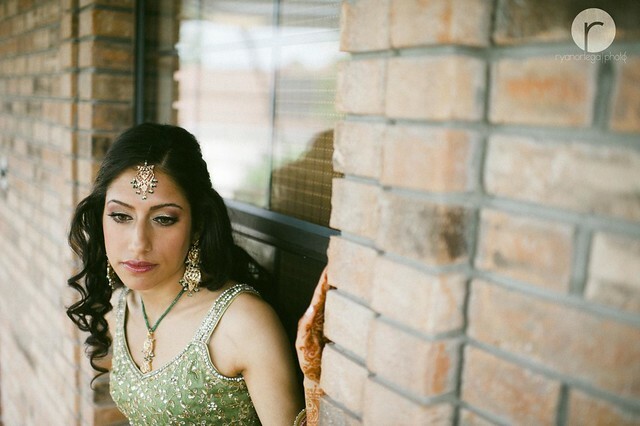 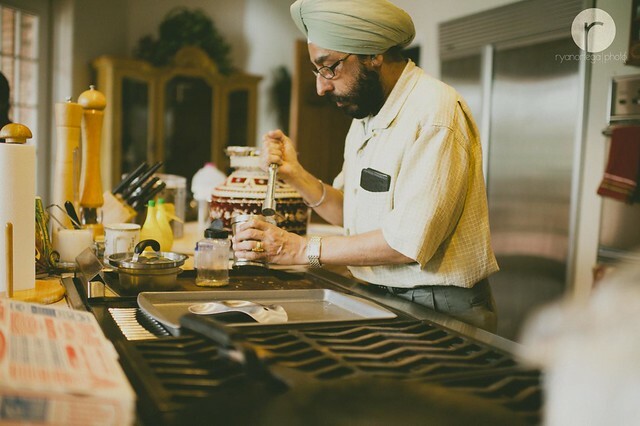 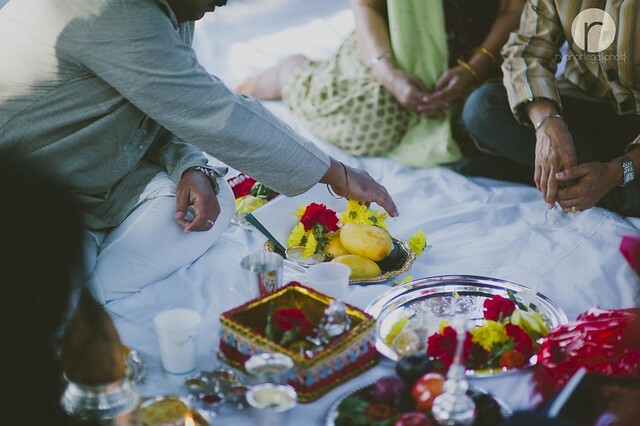 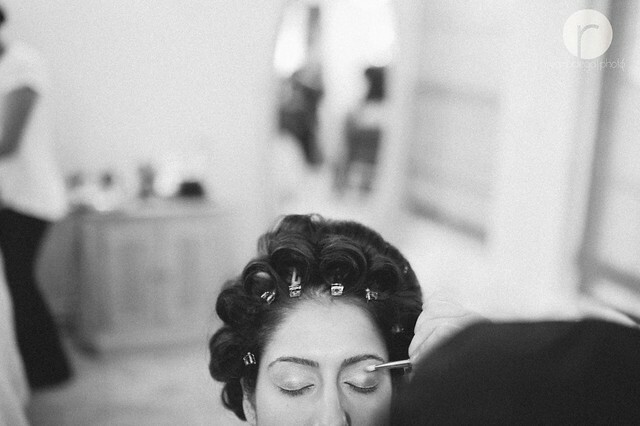 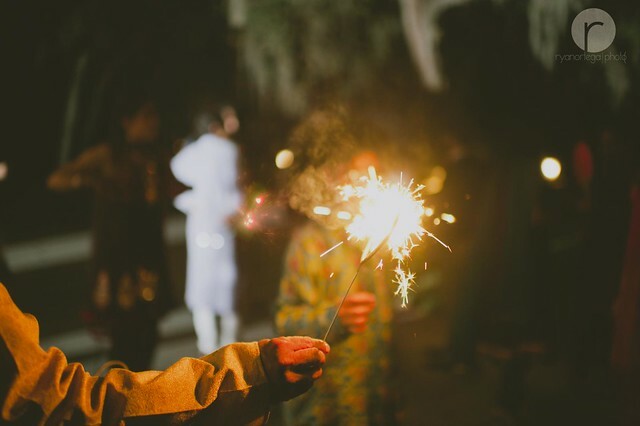 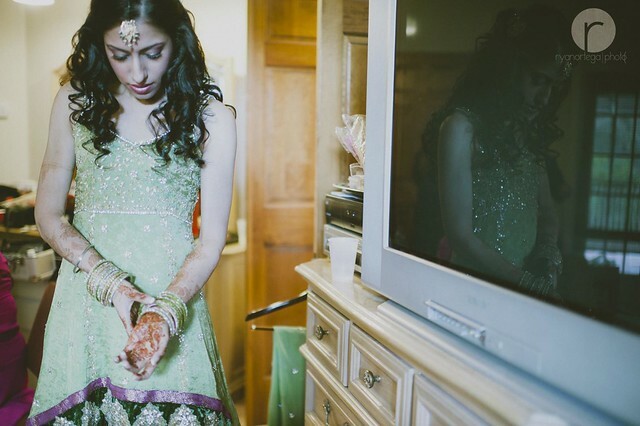 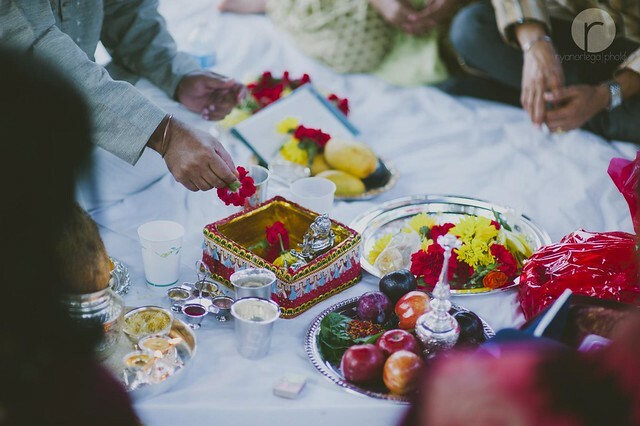 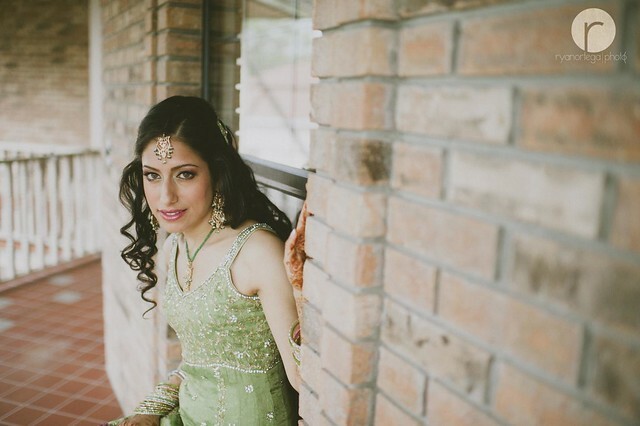 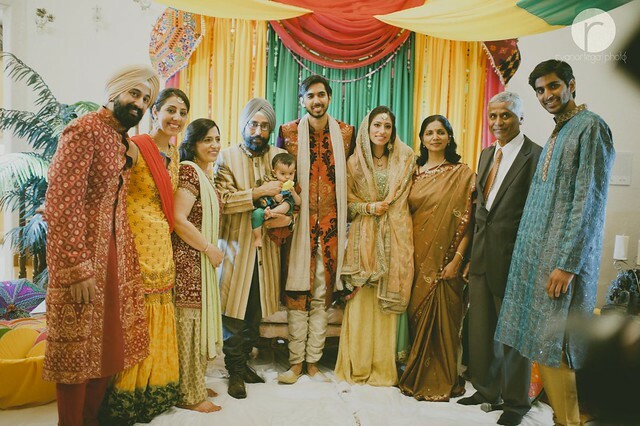 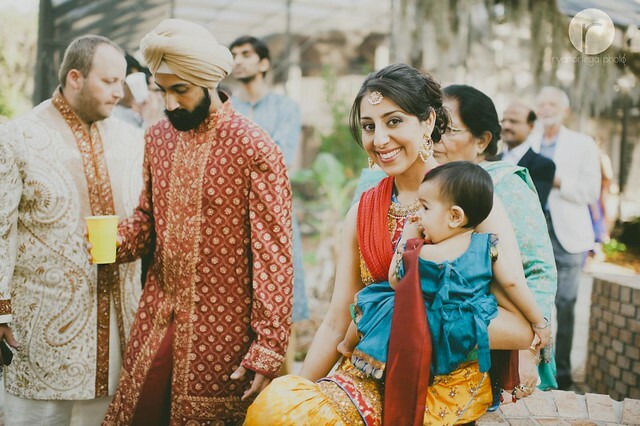 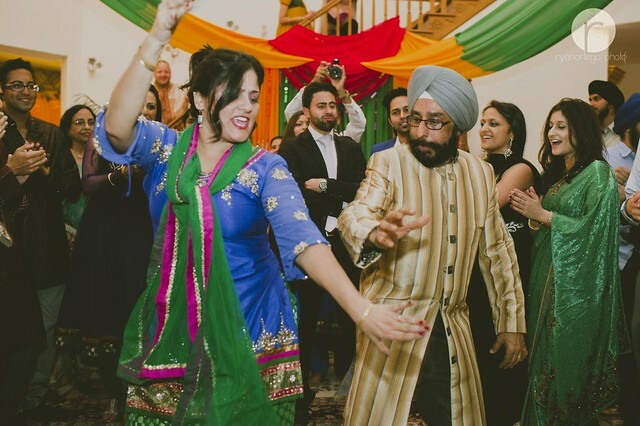 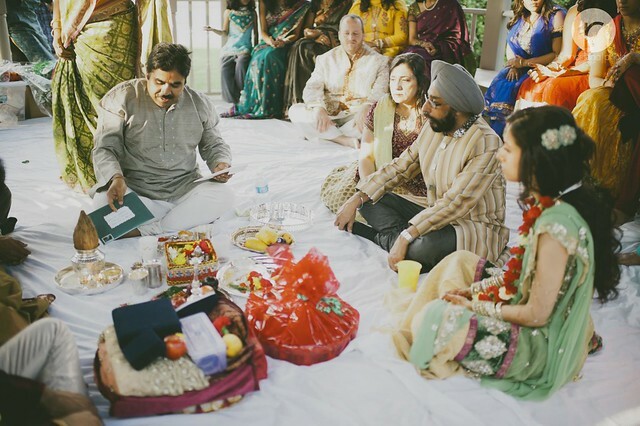 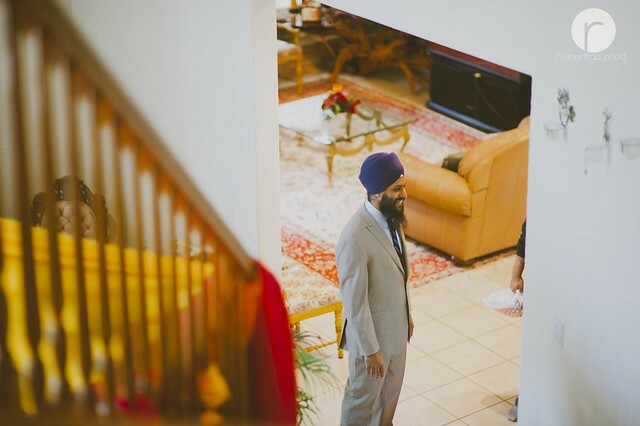 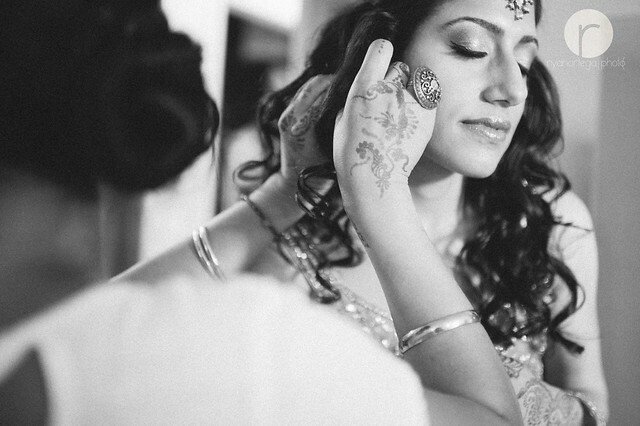 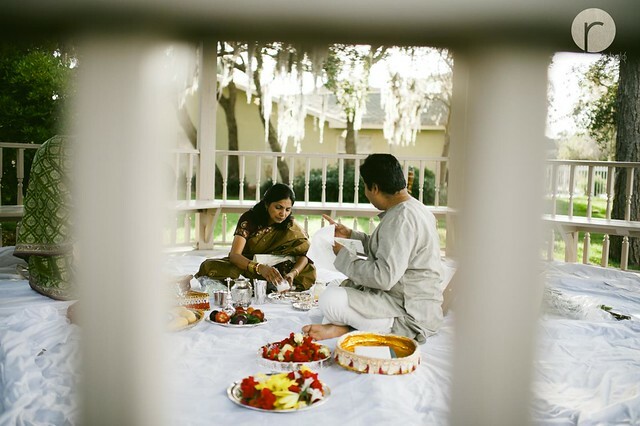 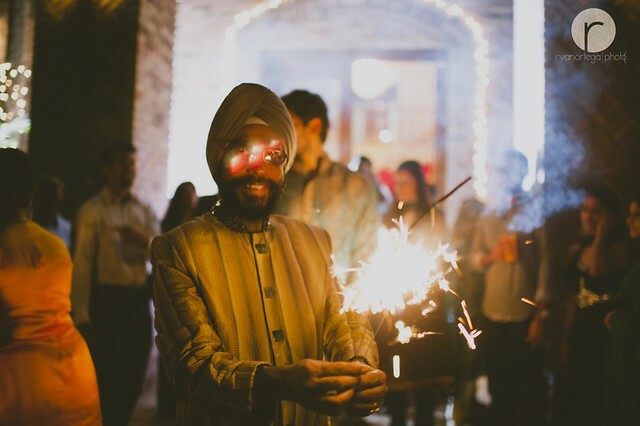 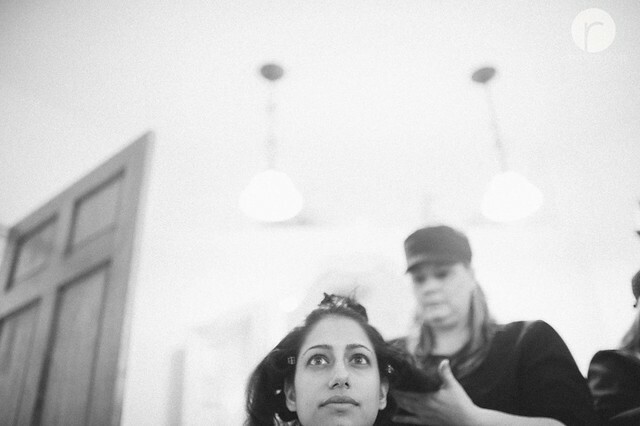 From Wikipedia: A Sangeet is a Punjabi (Indian/Pakistani) ceremony prior to the wedding. 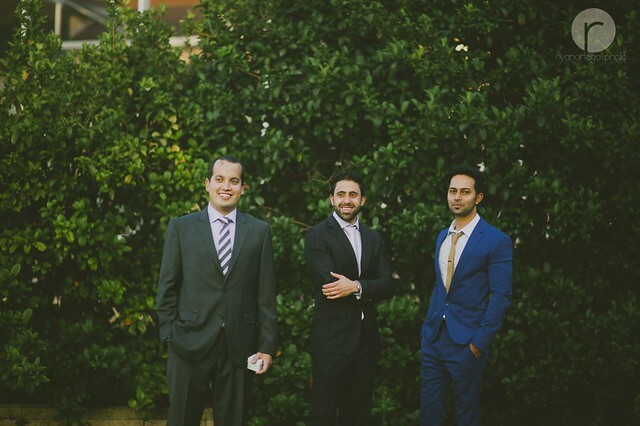 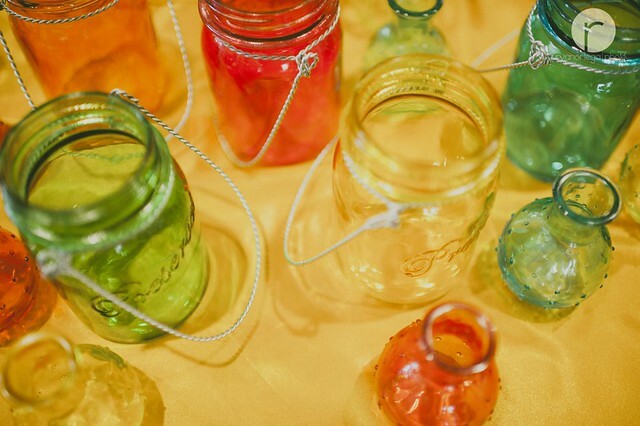 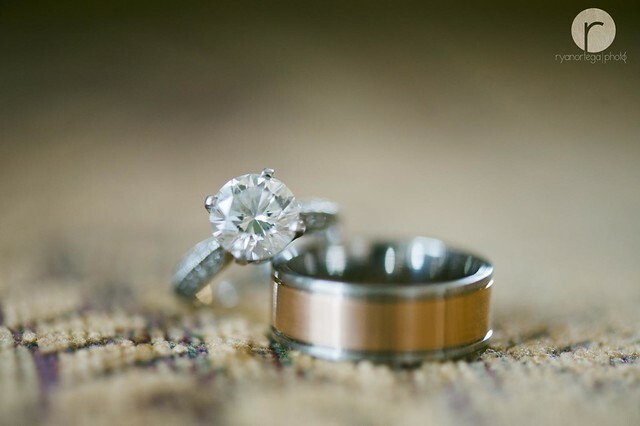 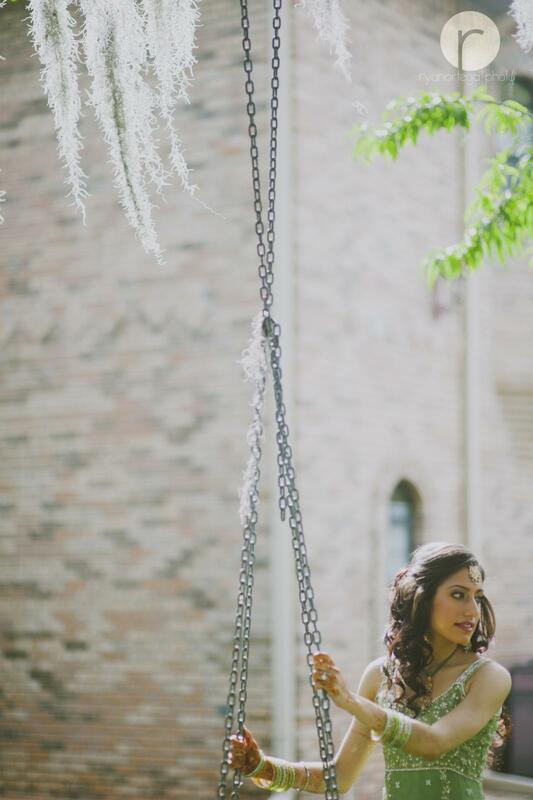 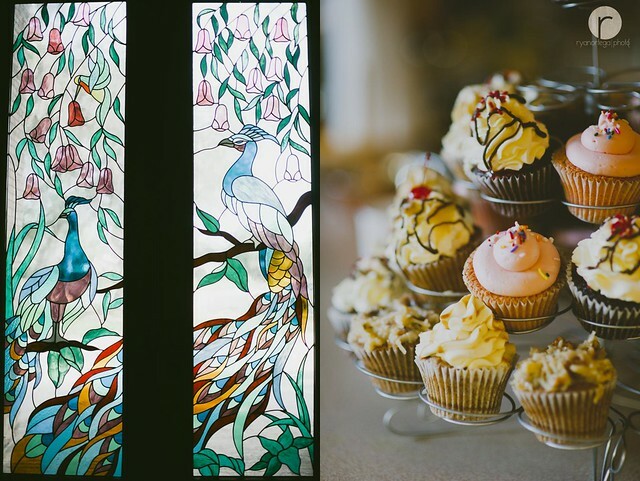 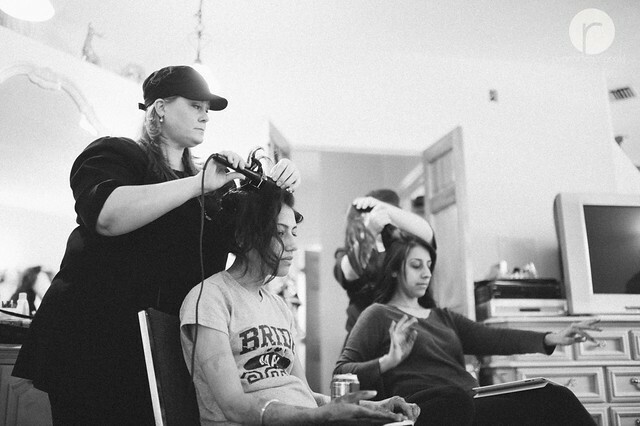 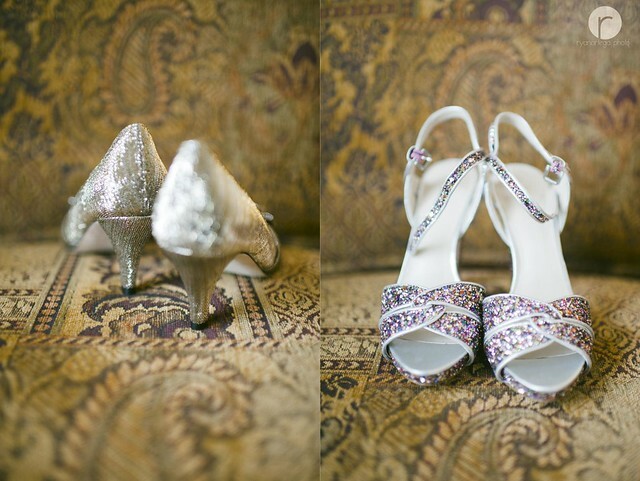 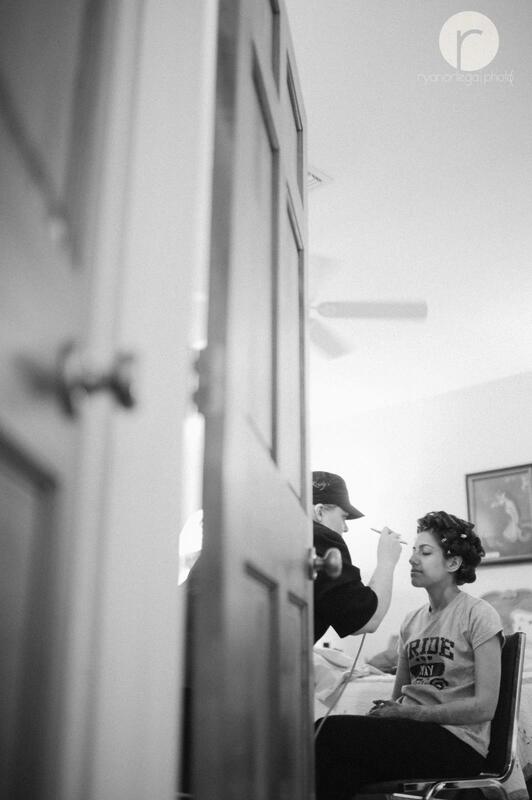 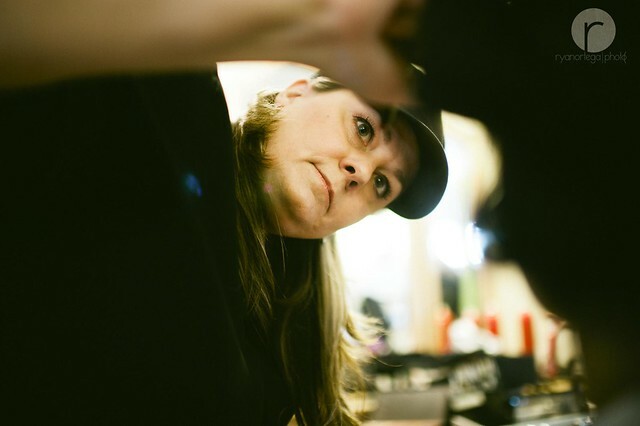 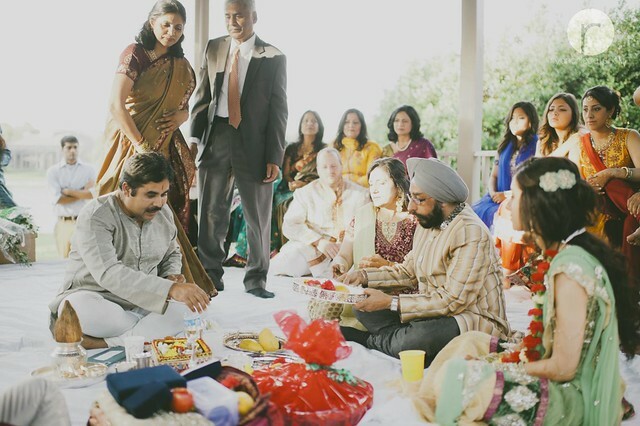 This event takes place two or three days before a wedding in a Banquet Hall or if a small affair, then at home. 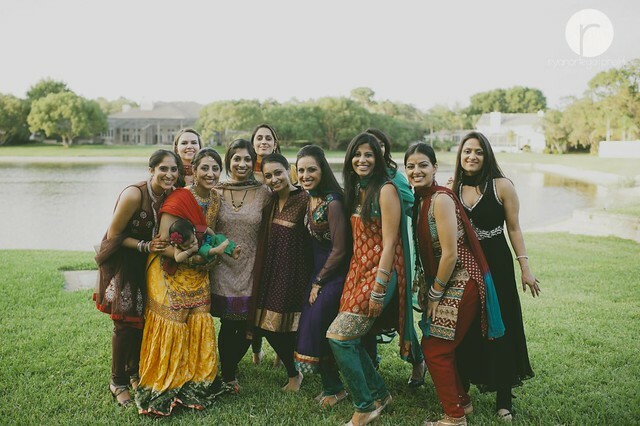 Ladies are the only people to take part in the event. 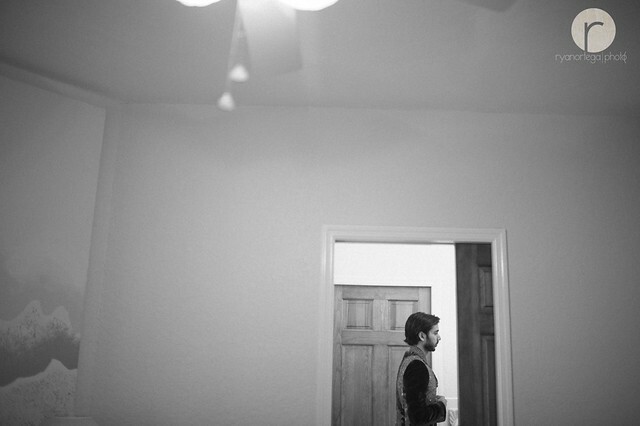 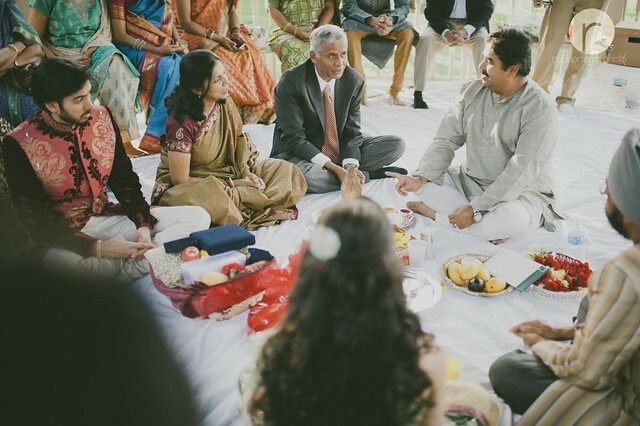 Some men are present if they are close to the bride or groom. 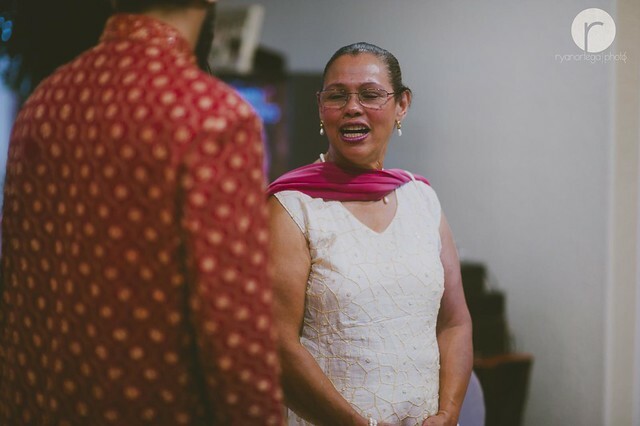 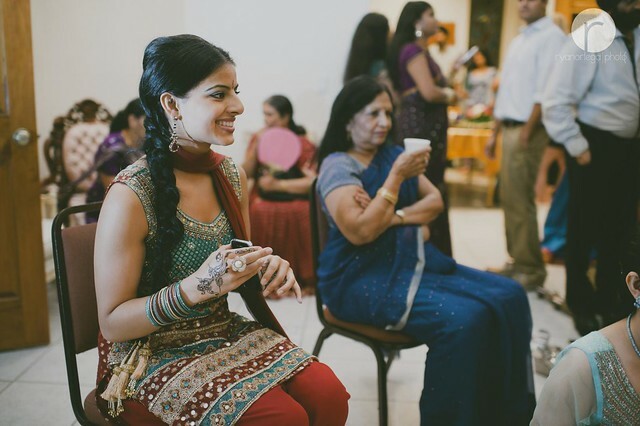 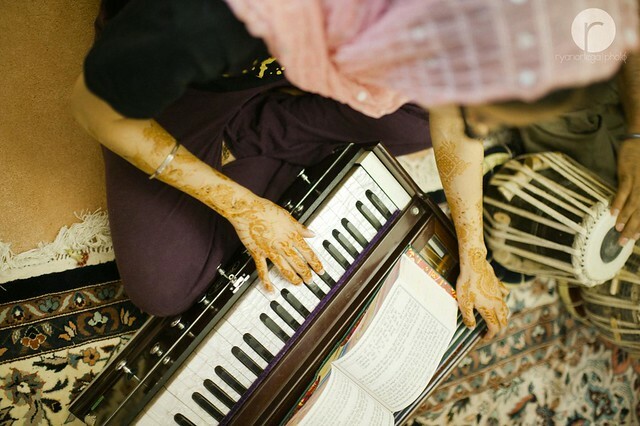 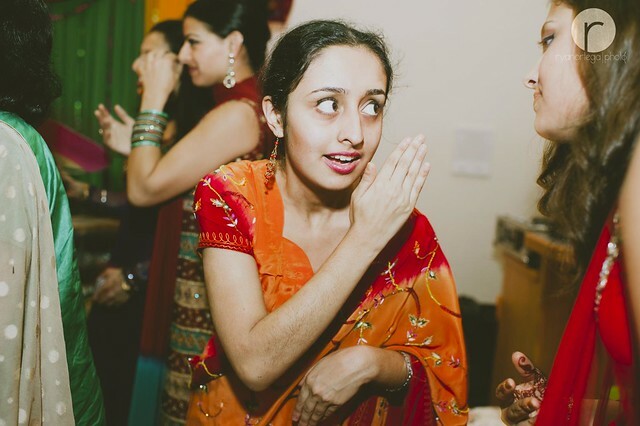 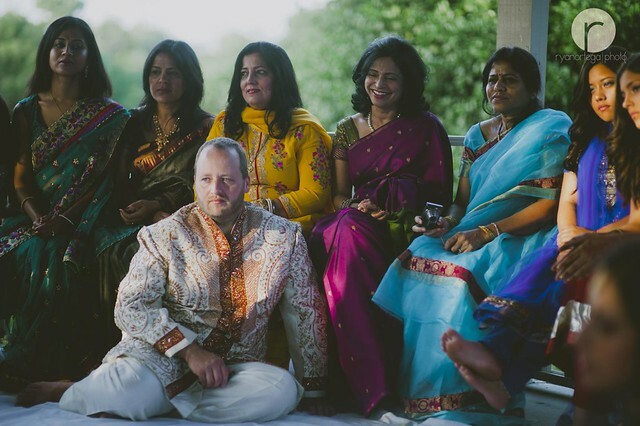 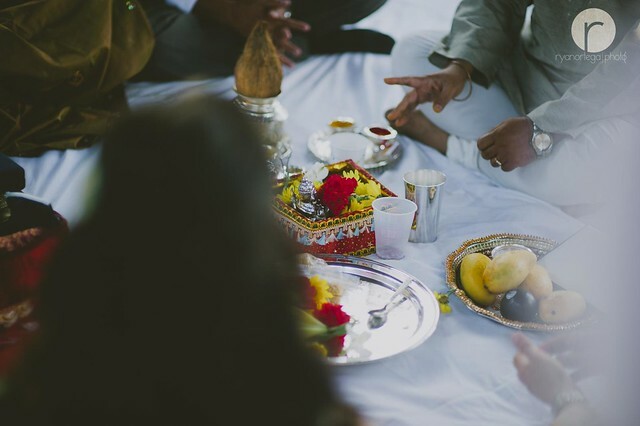 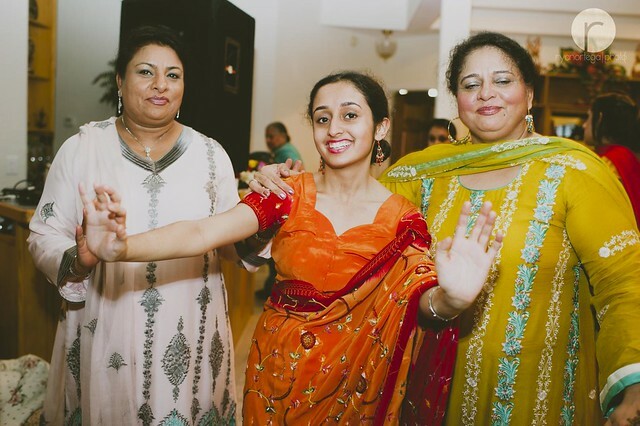 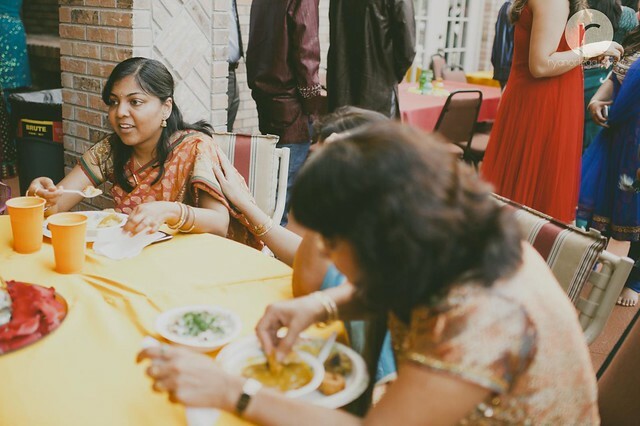 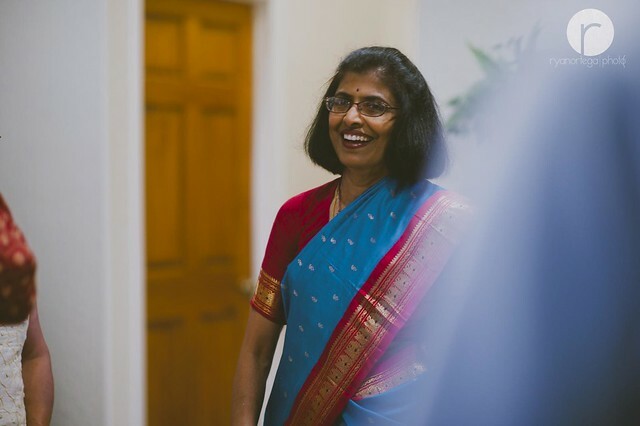 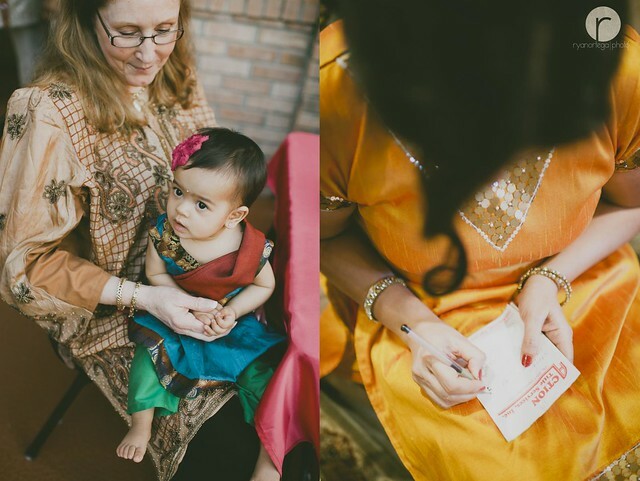 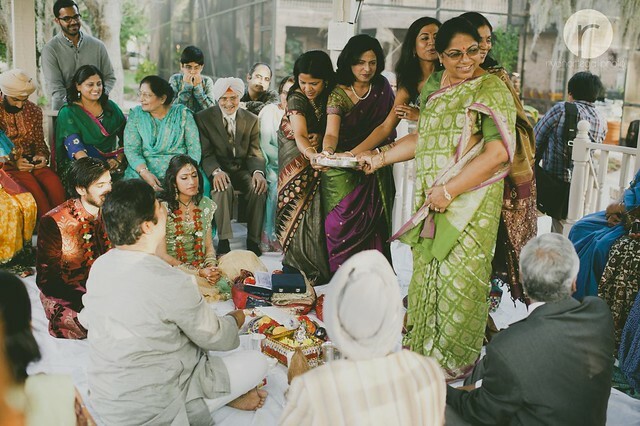 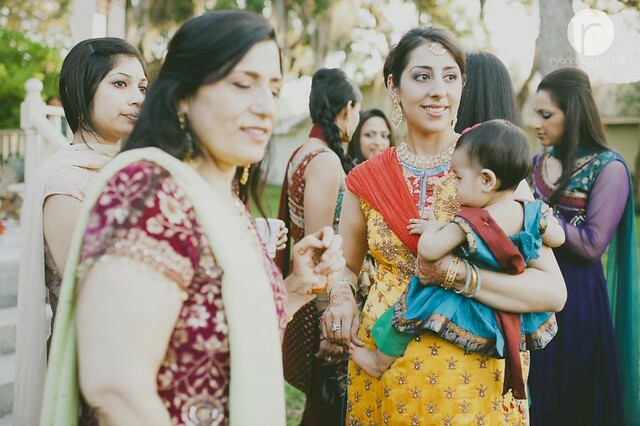 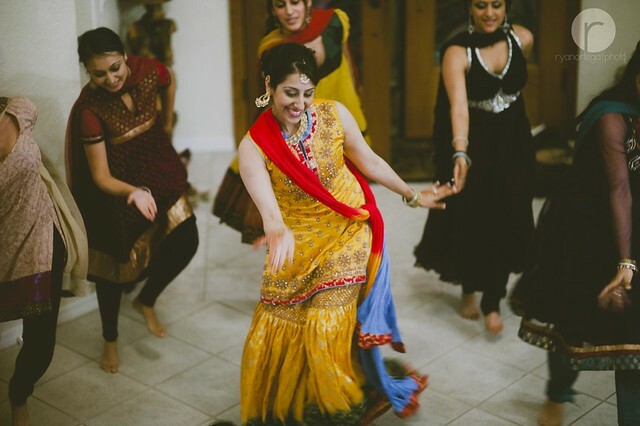 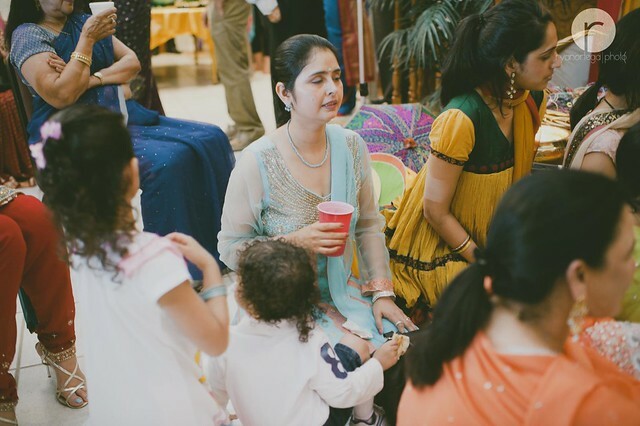 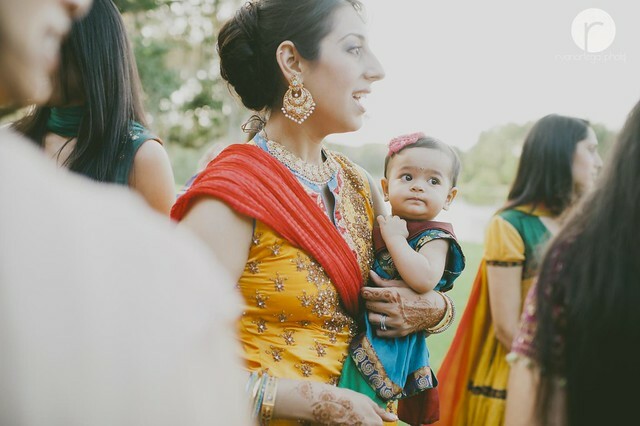 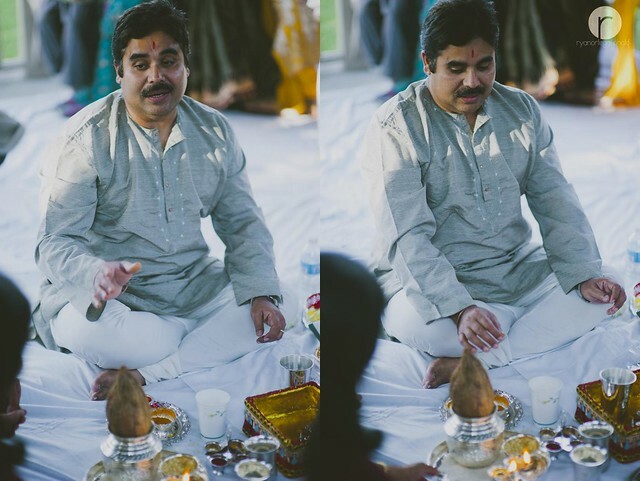 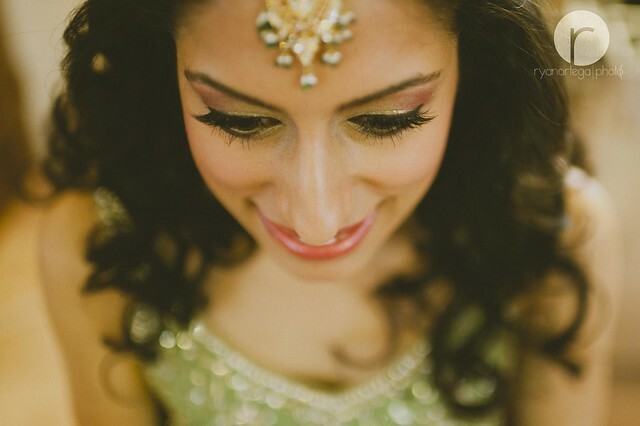 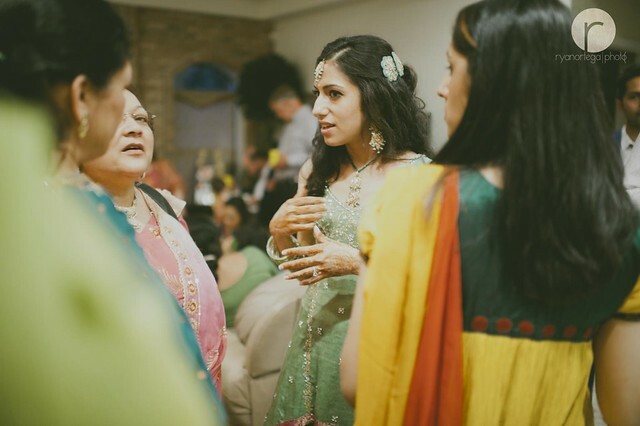 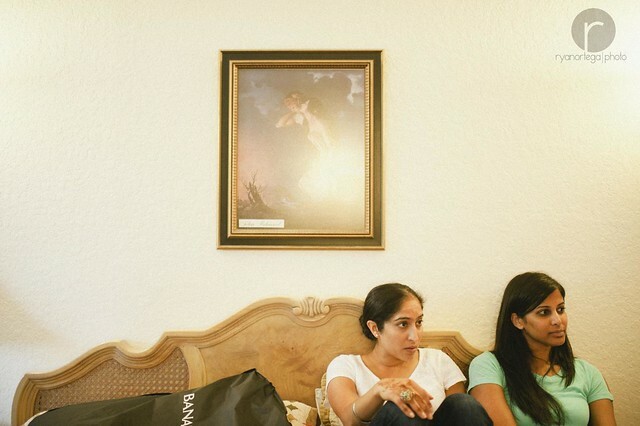 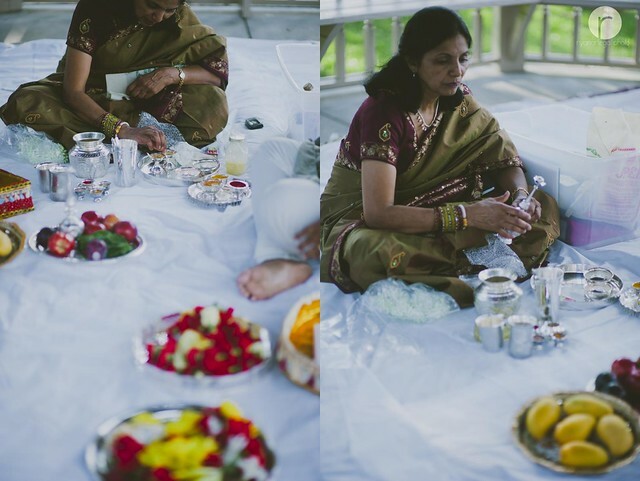 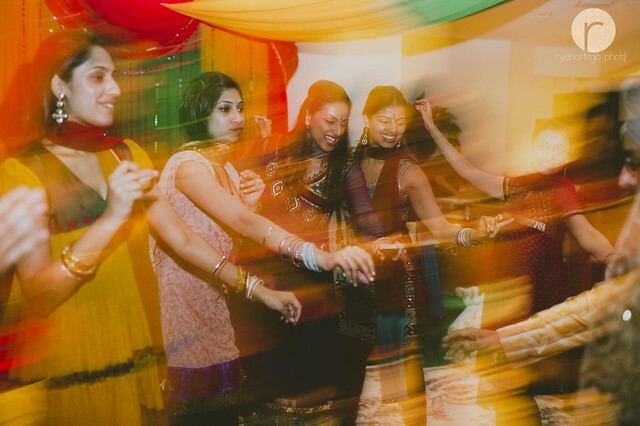 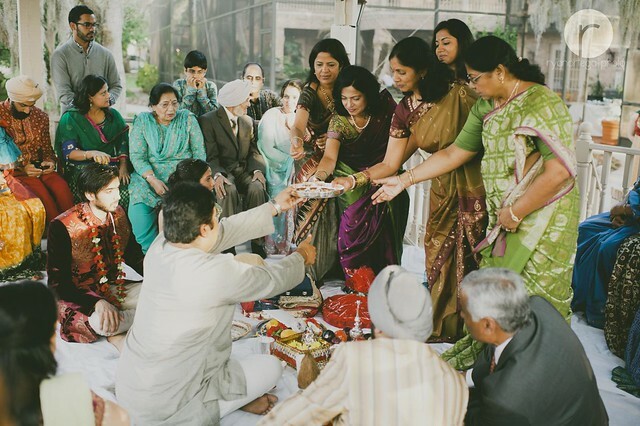 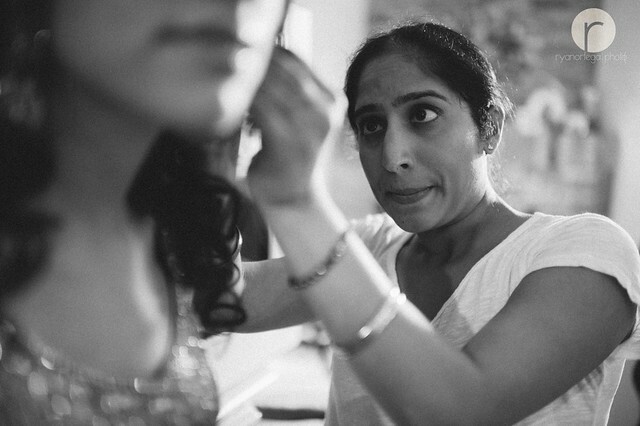 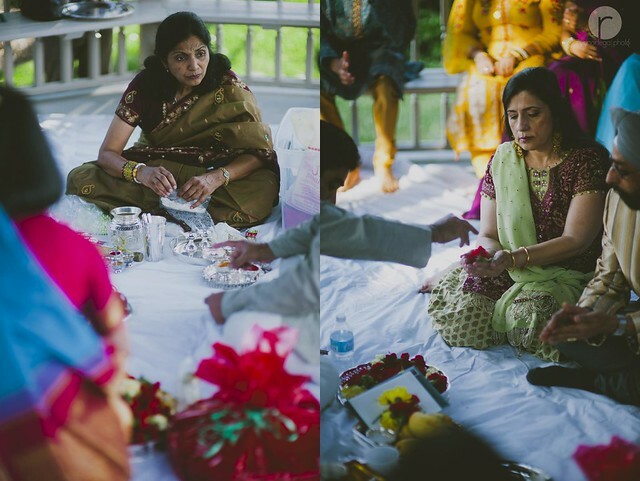 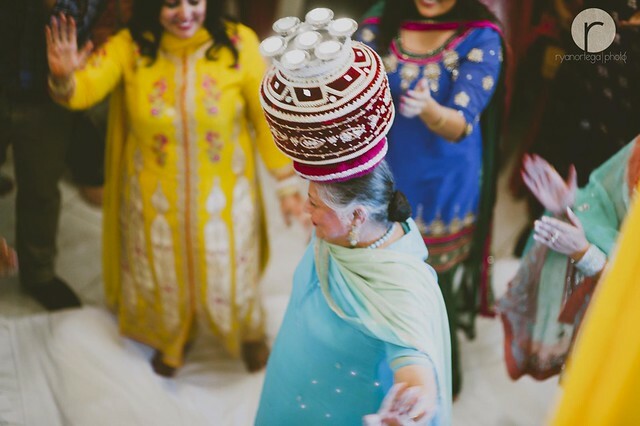 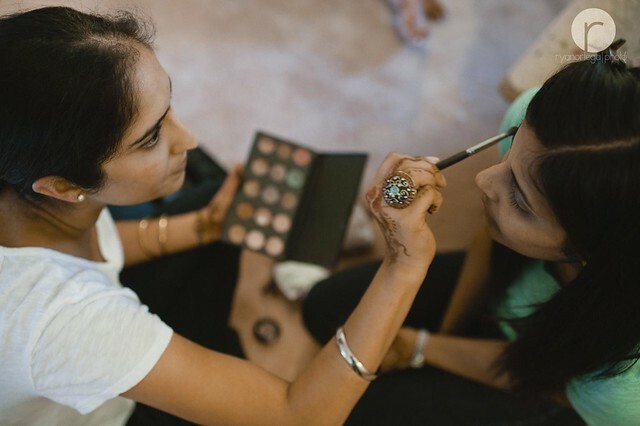 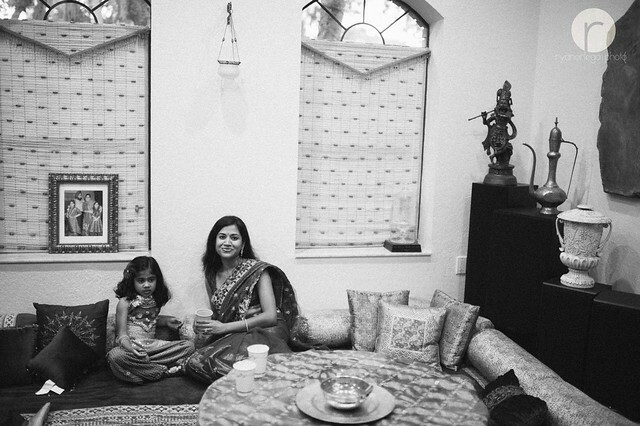 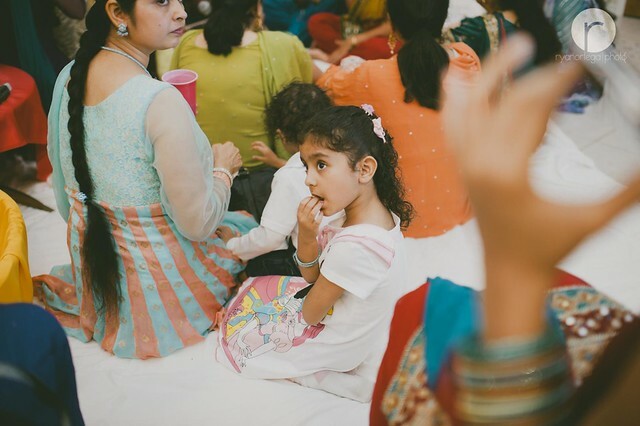 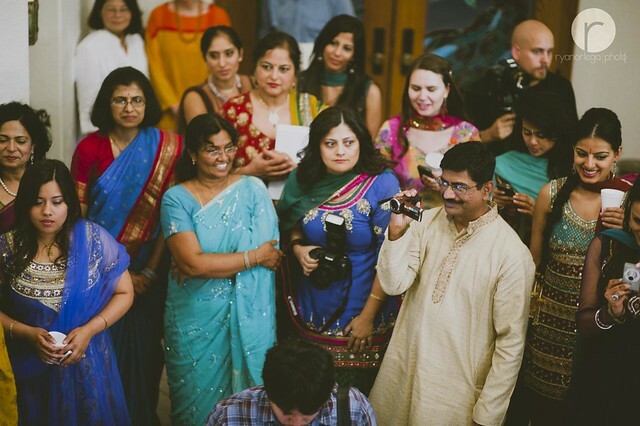 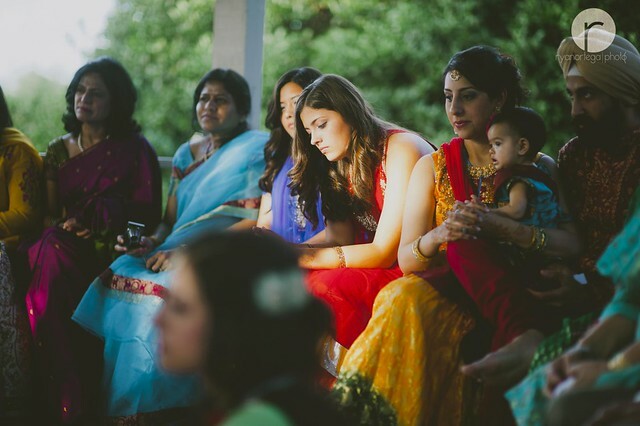 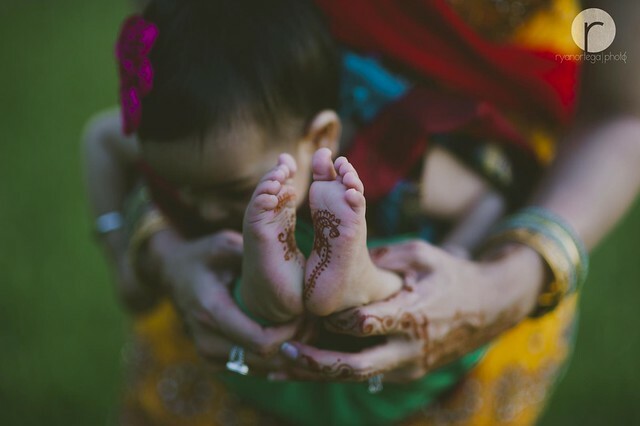 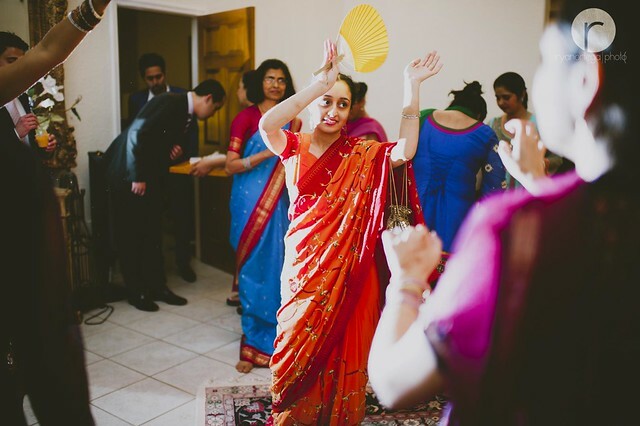 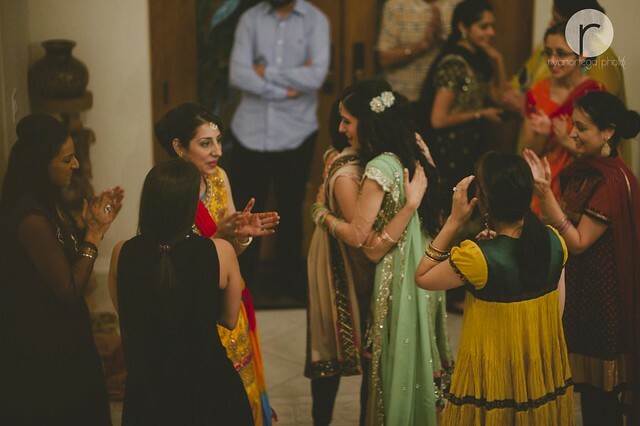 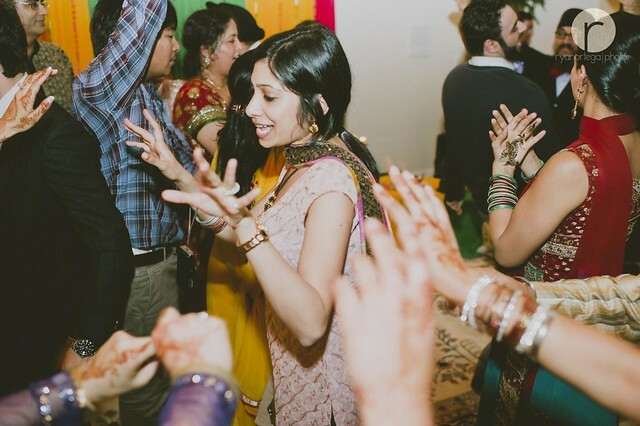 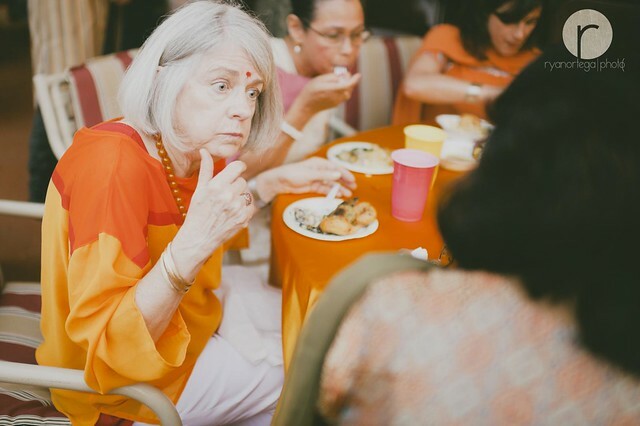 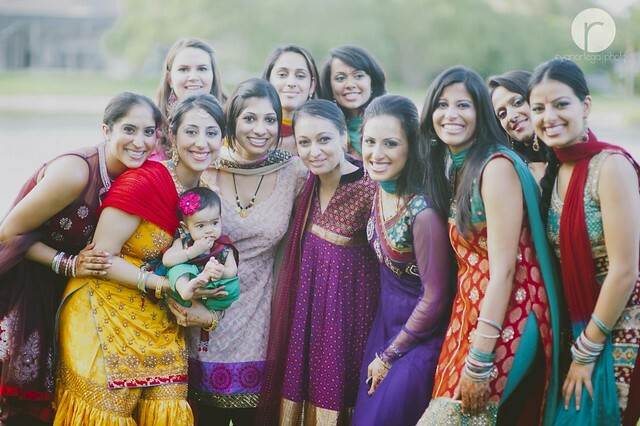 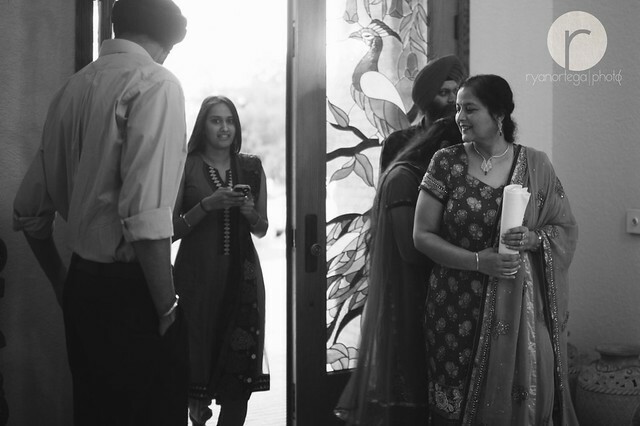 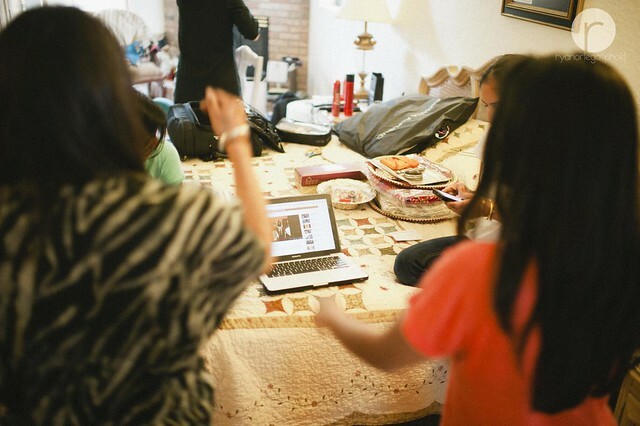 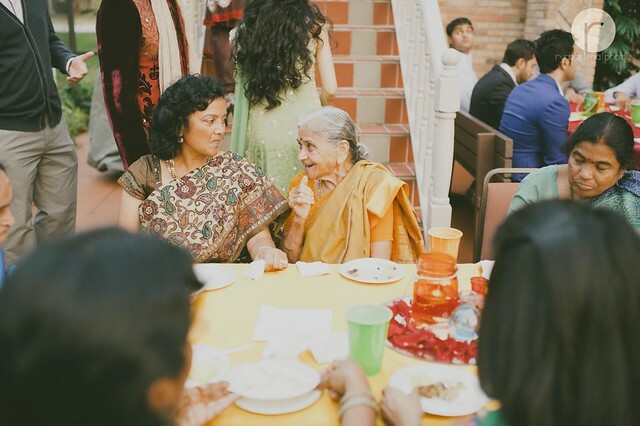 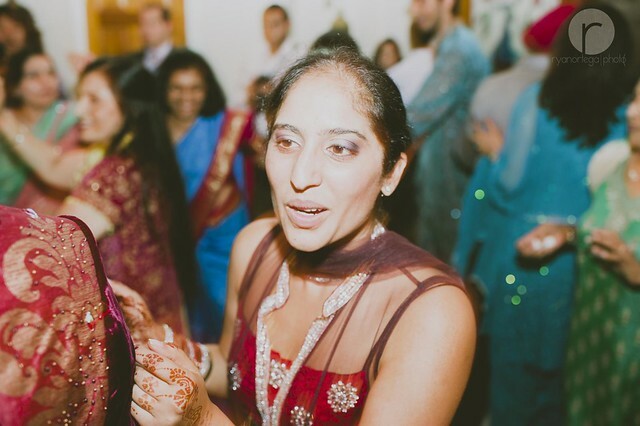 During this event ladies will sing traditional Indian songs, and joke around with guests. 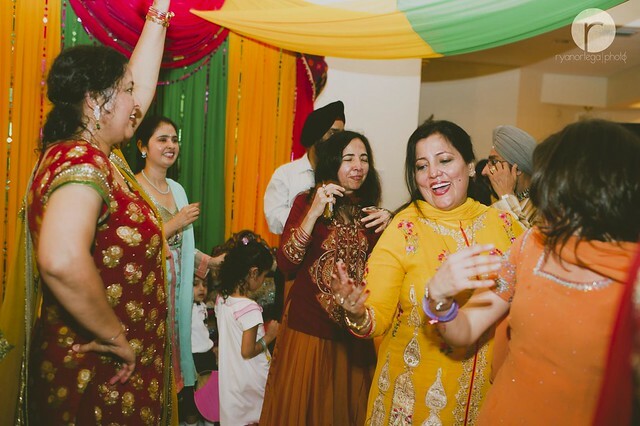 This event is also like a dinner and dance, because there is a lot of dancing and lots of food in banquet style. 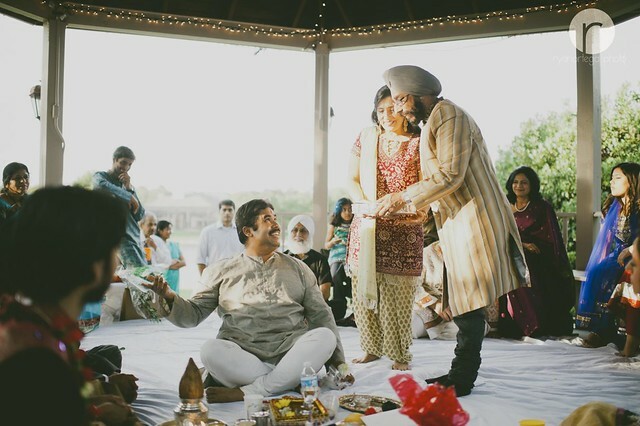 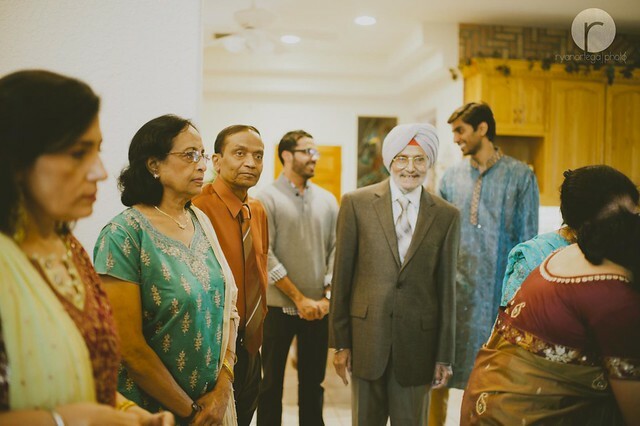 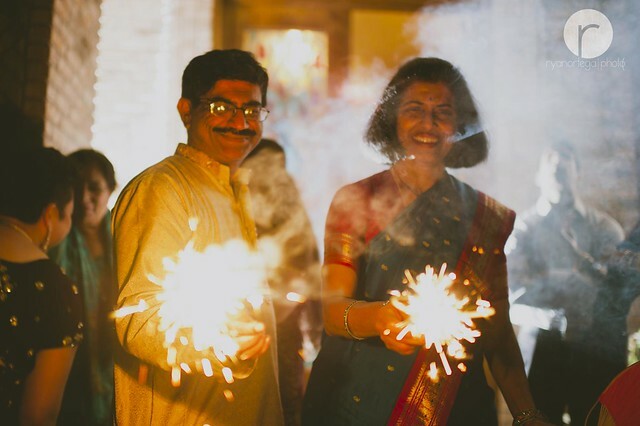 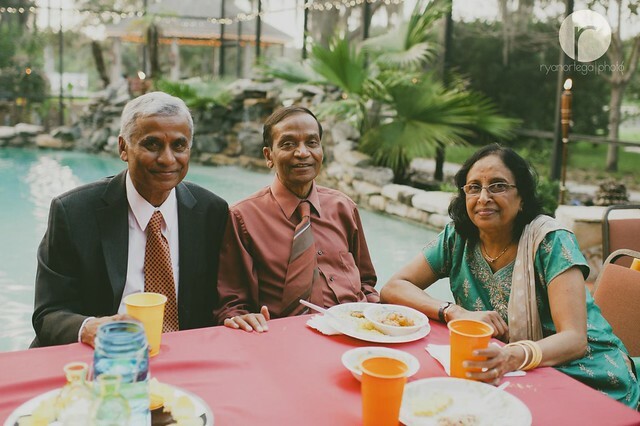 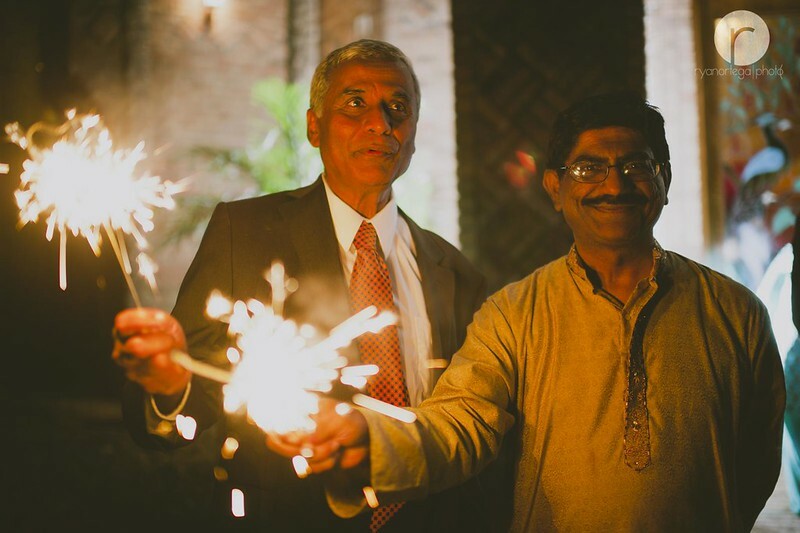 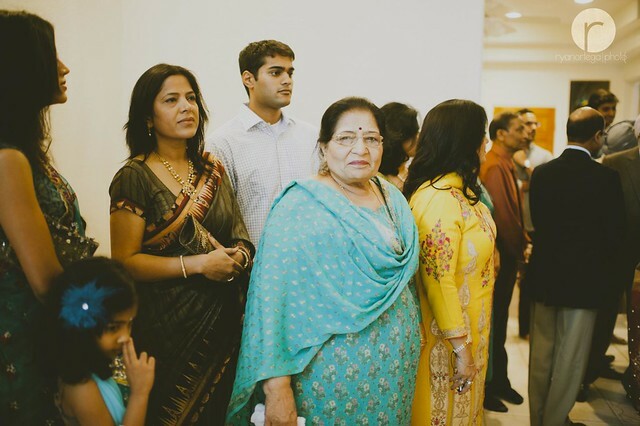 The Sangeet includes a good-natured ribbing of the couple’s in-laws. 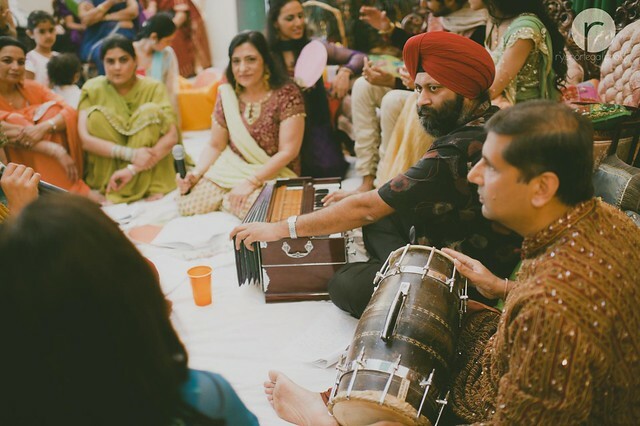 Some Indian instruments like the dholki accompany the joking. 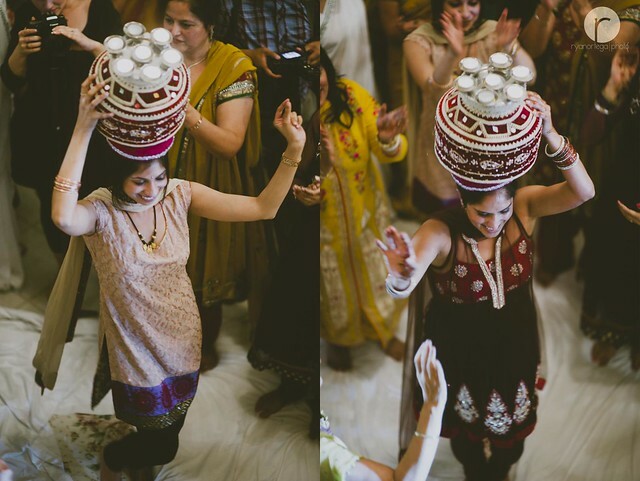 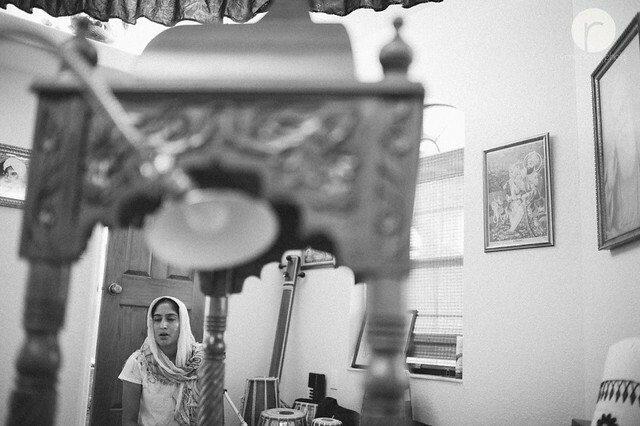 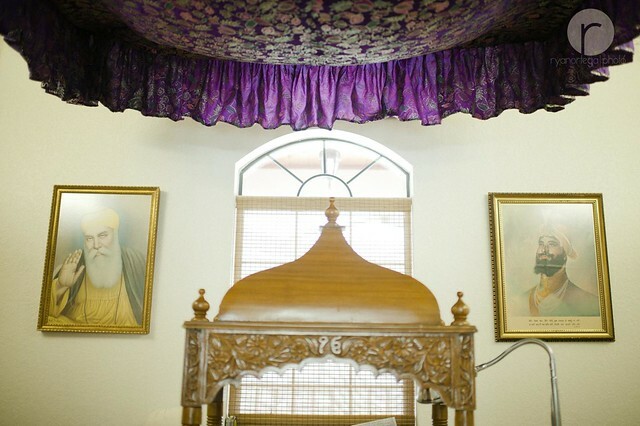 The dholki is like a two-sided drum. 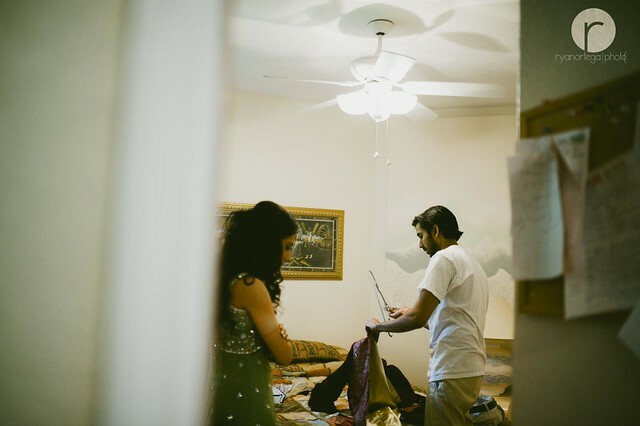 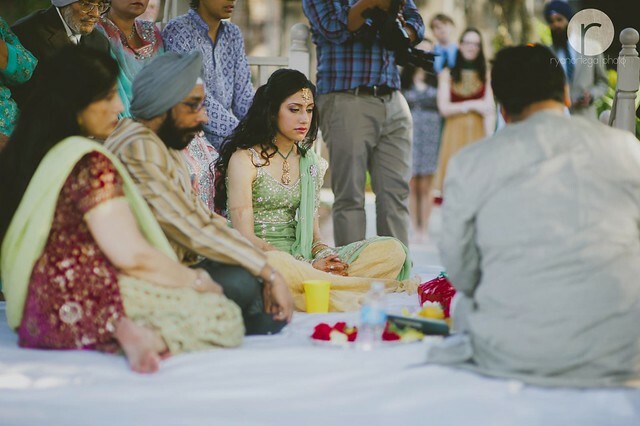 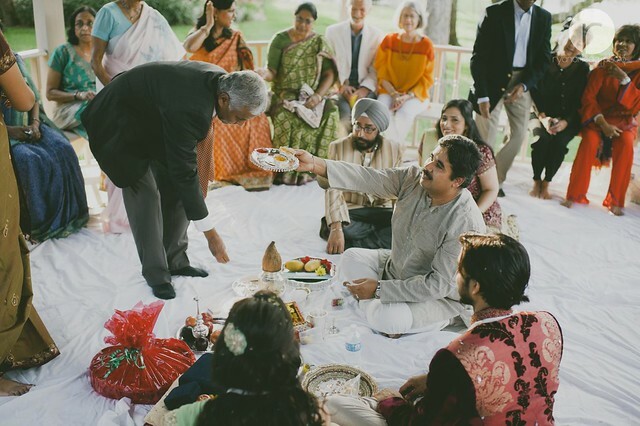 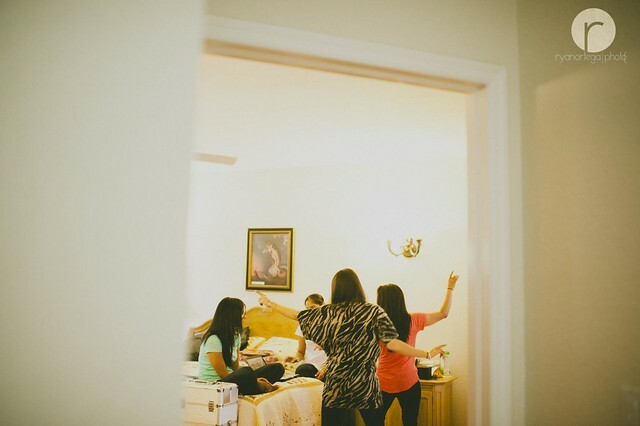 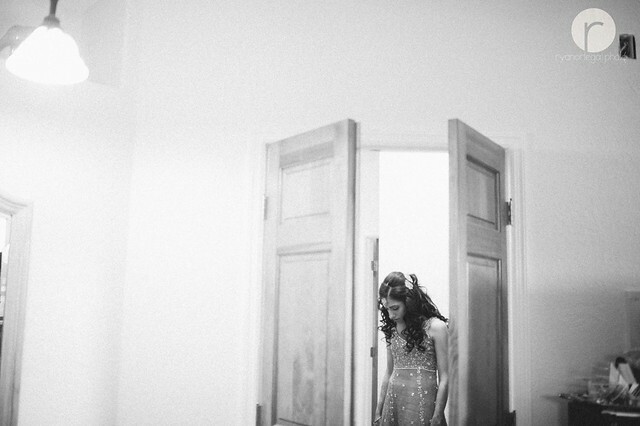 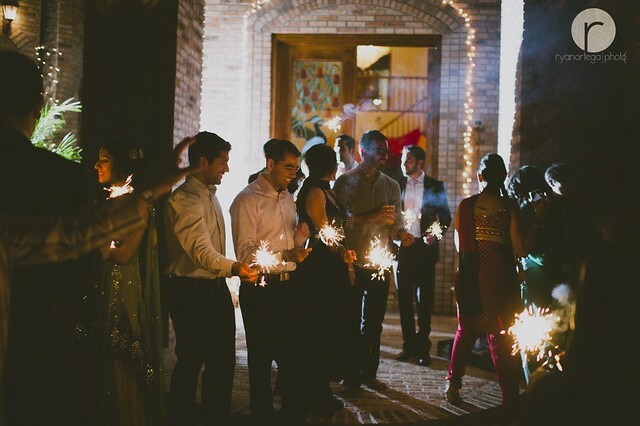 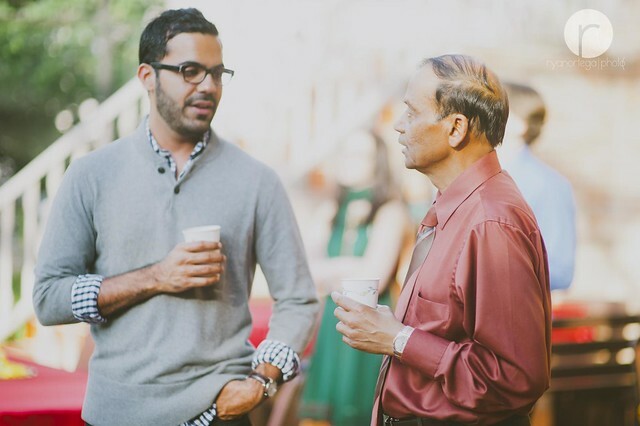 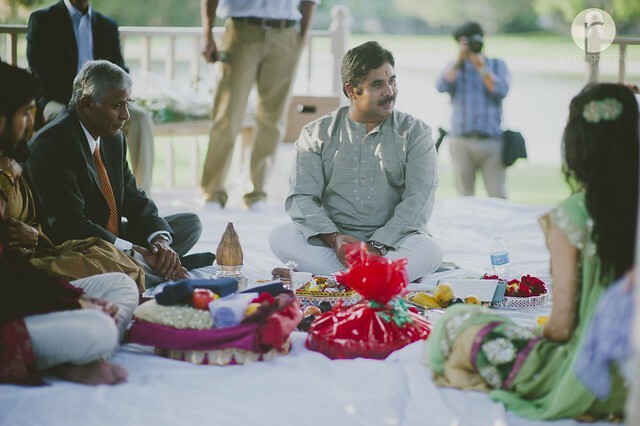 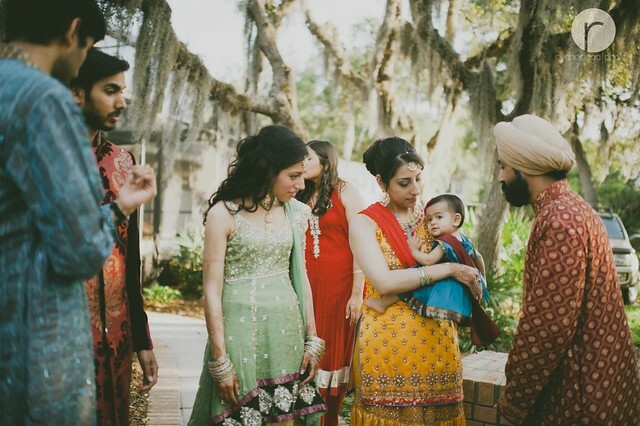 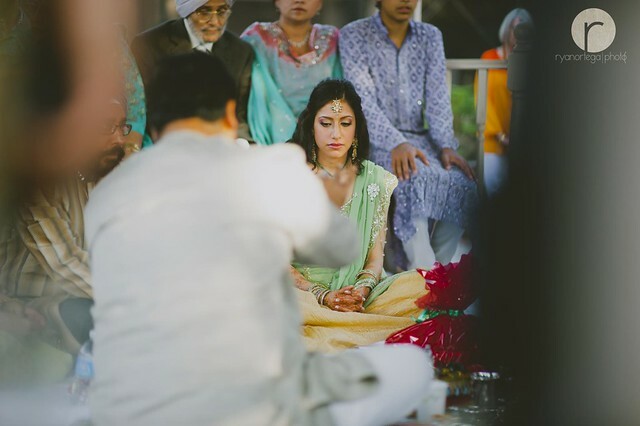 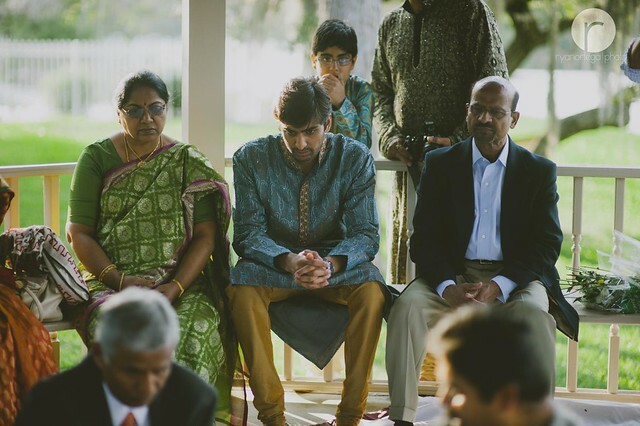 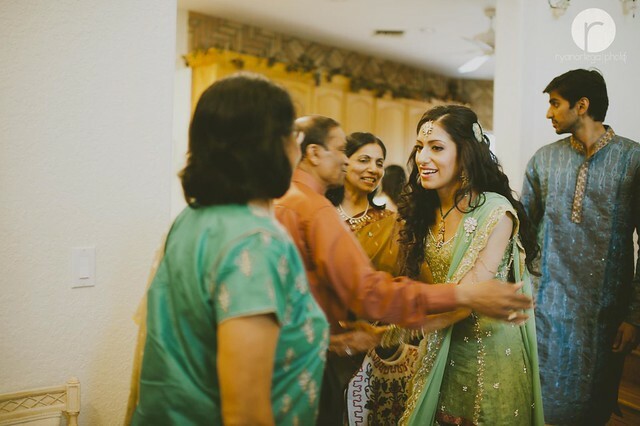 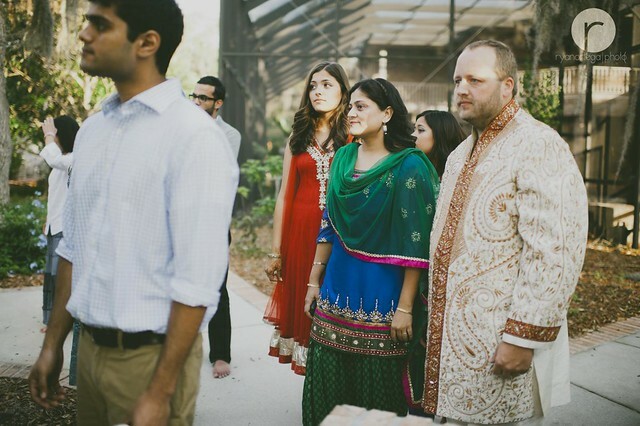 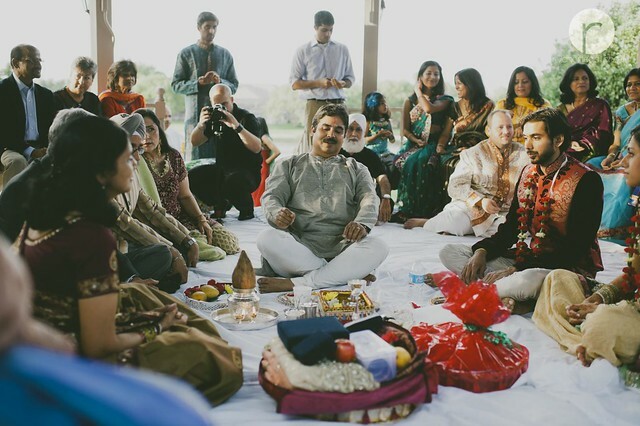 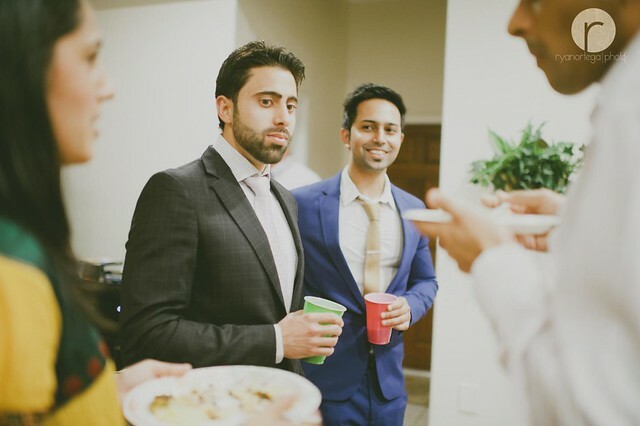 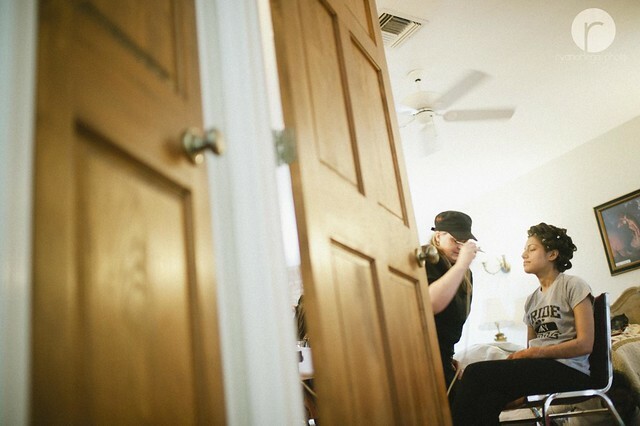 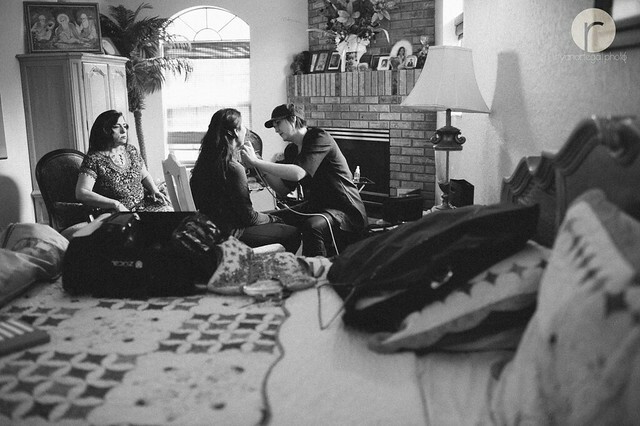 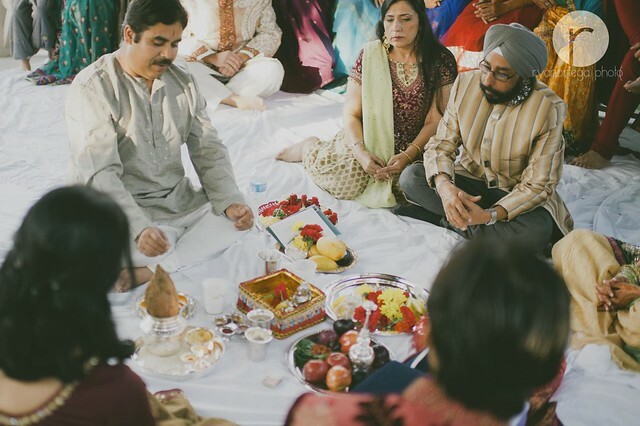 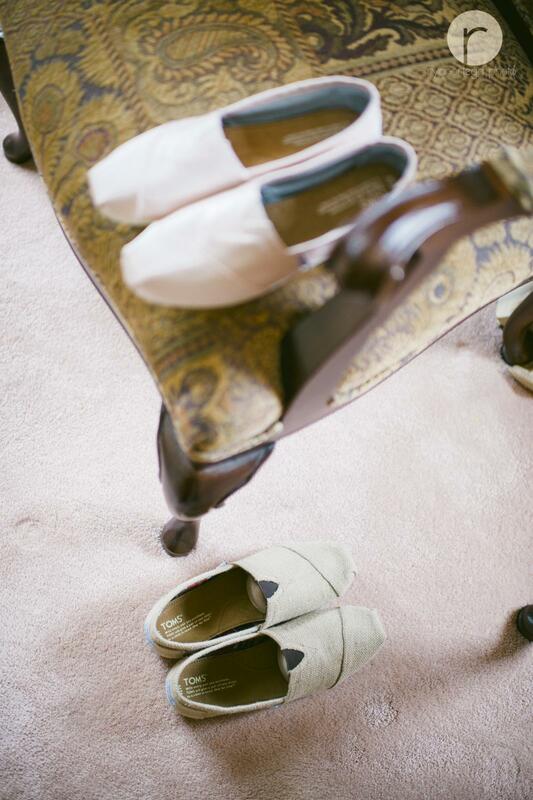 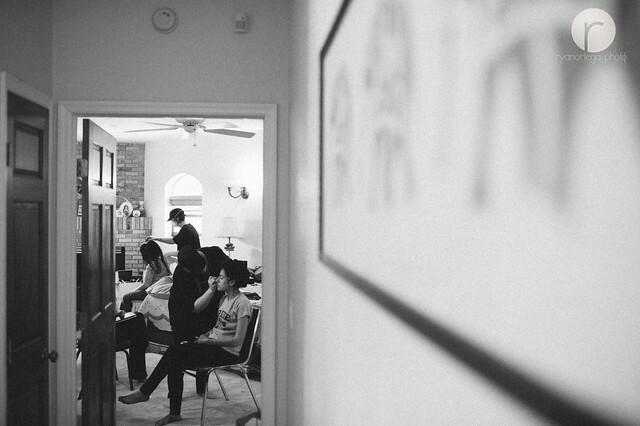 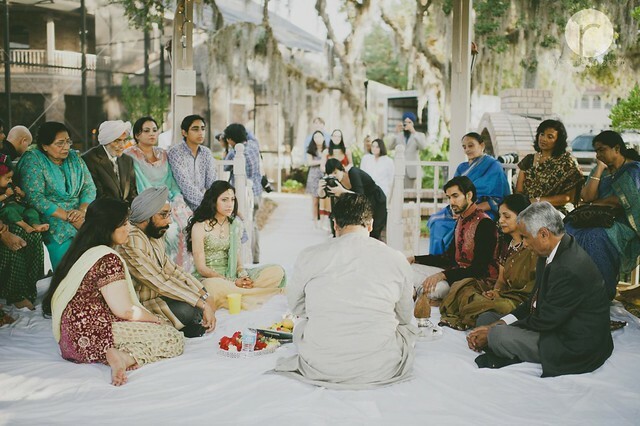 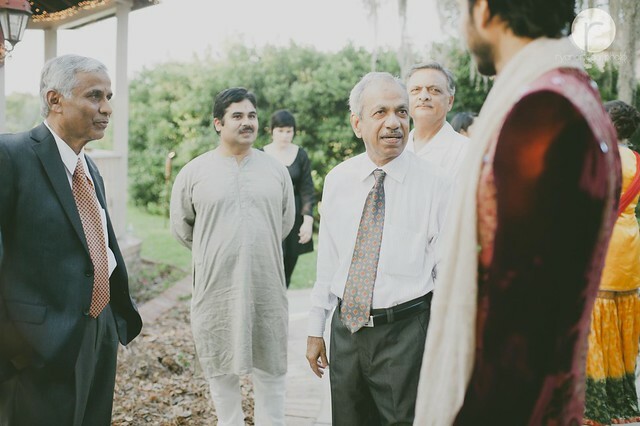 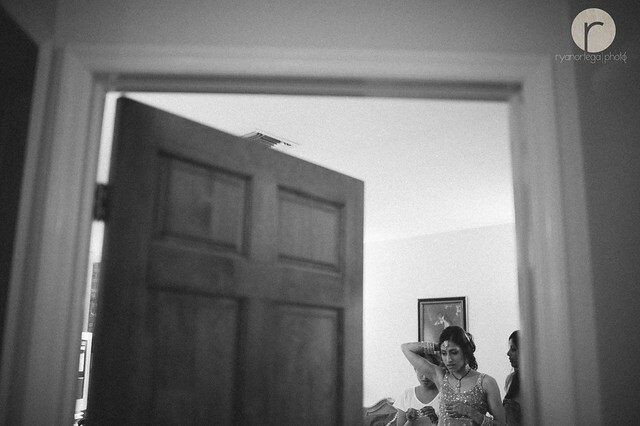 The ceremony is also a good time for the wedding guests to get acquainted with each other. 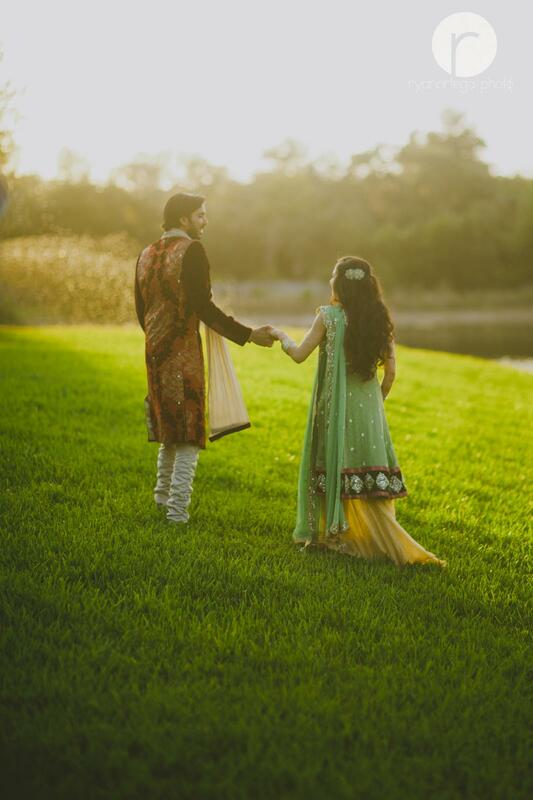 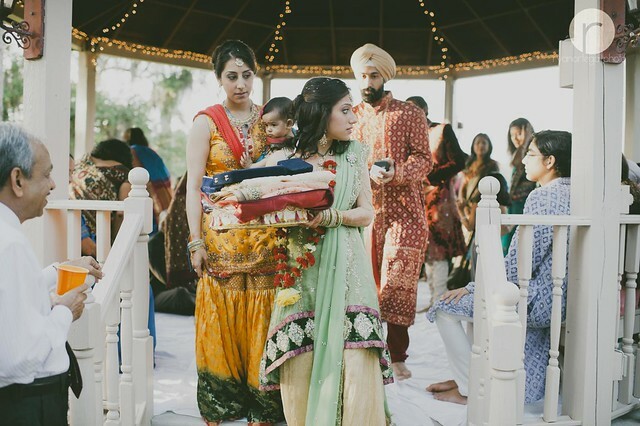 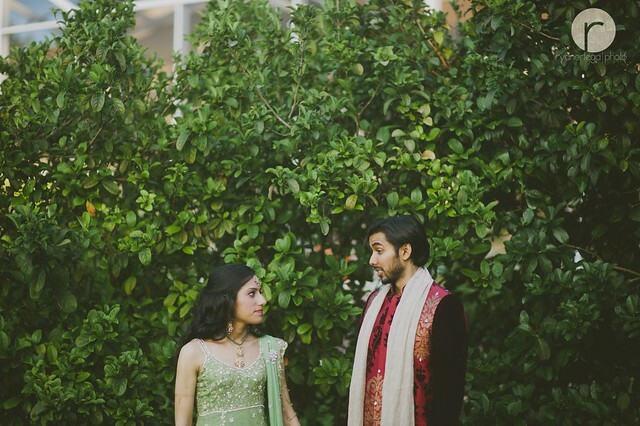 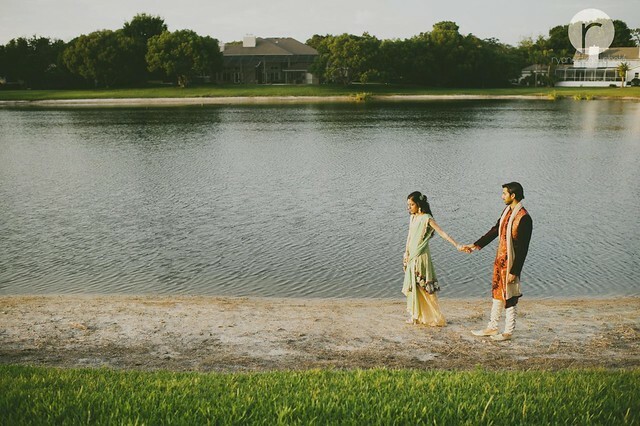 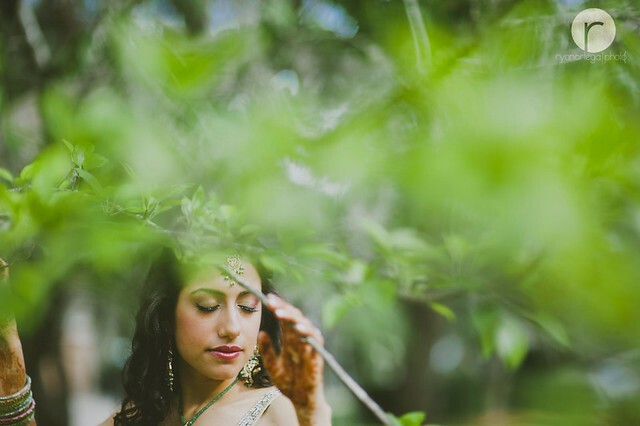 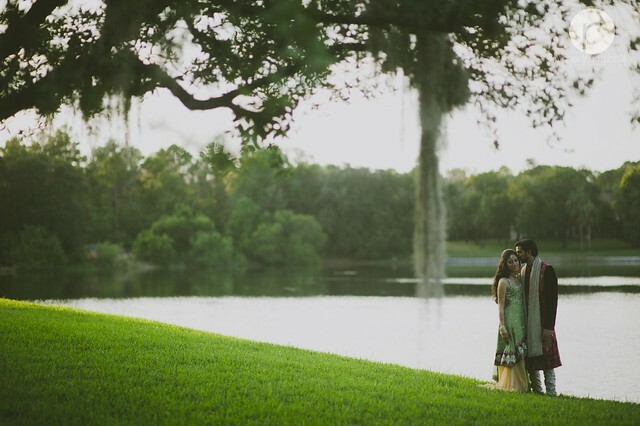 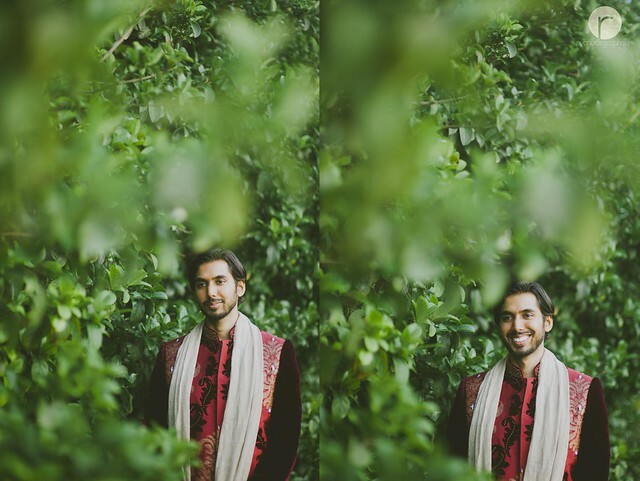 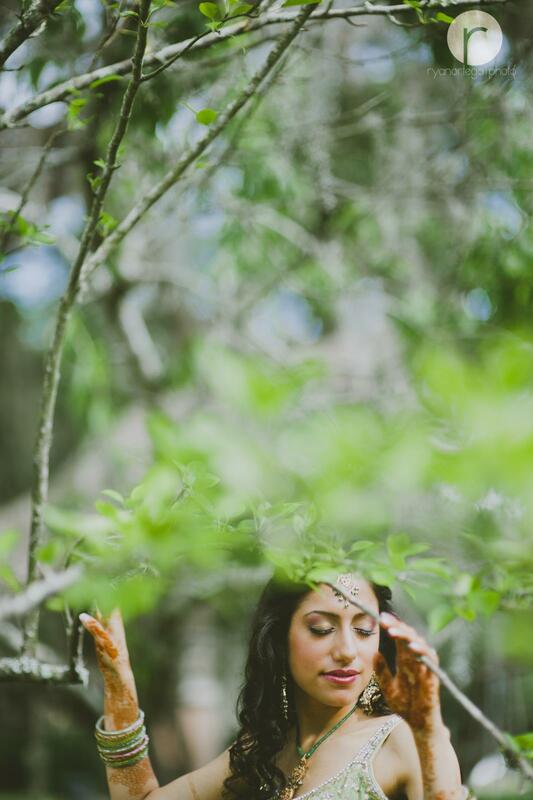 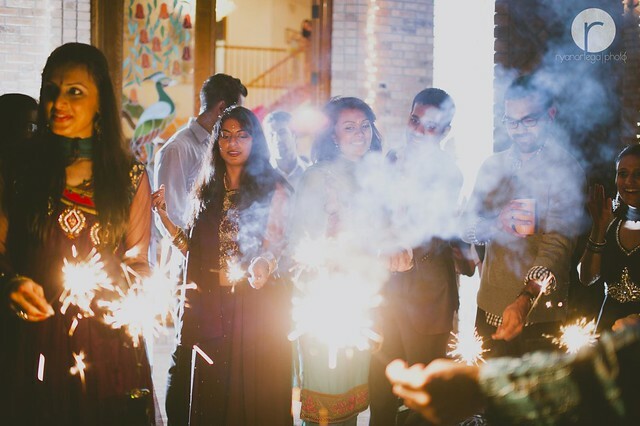 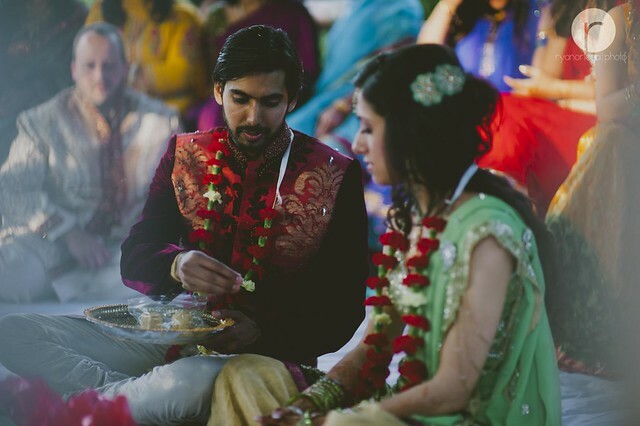 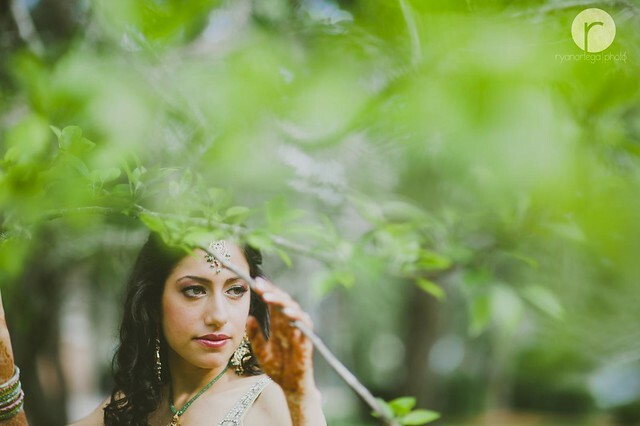 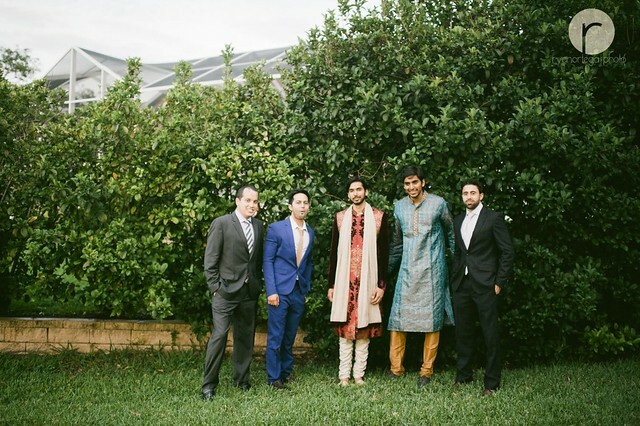 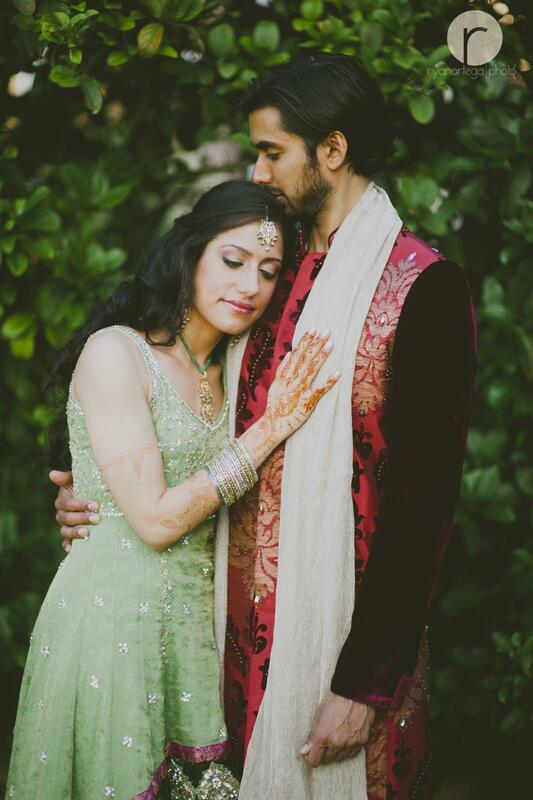 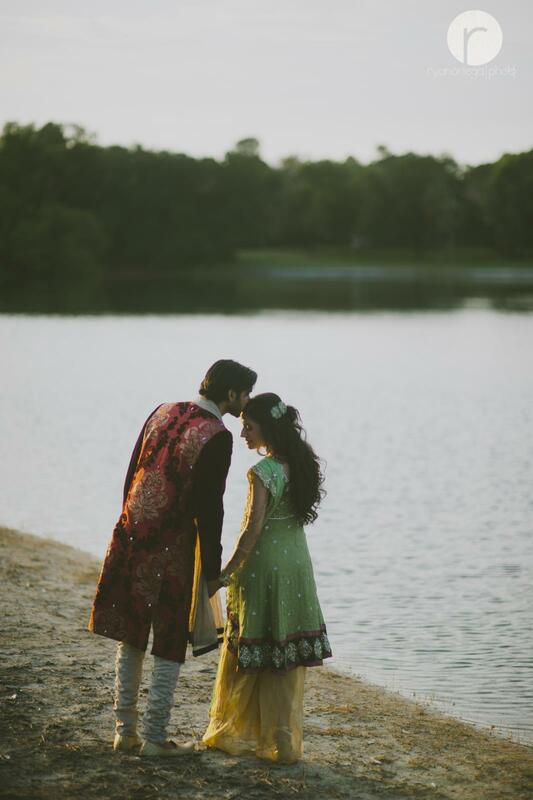 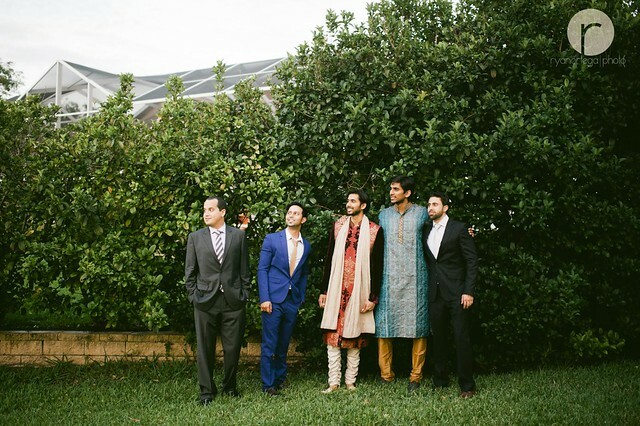 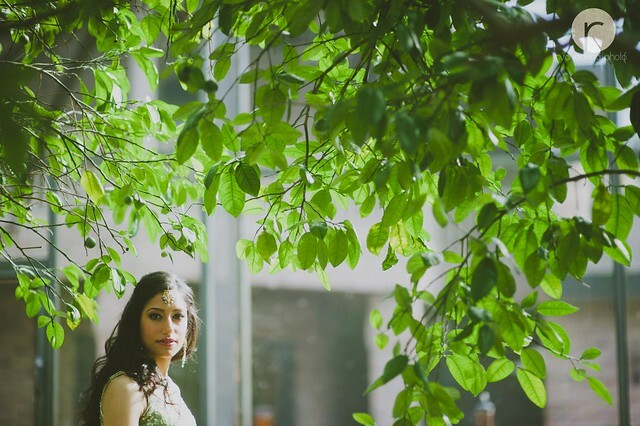 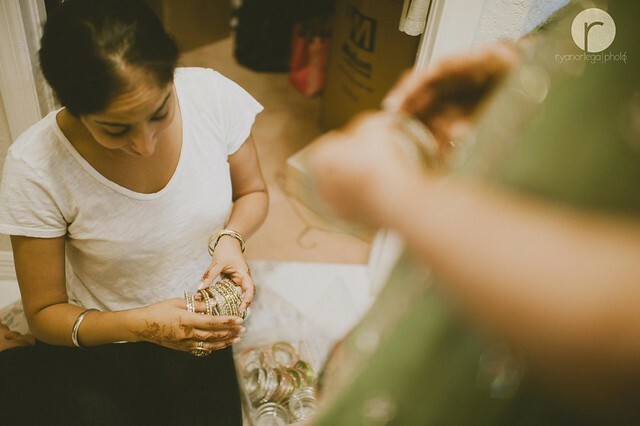 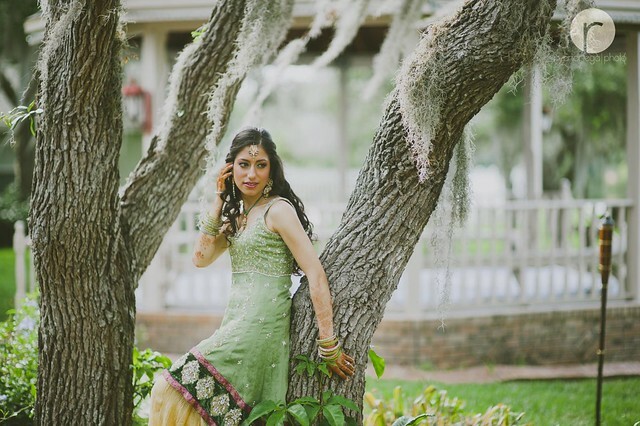 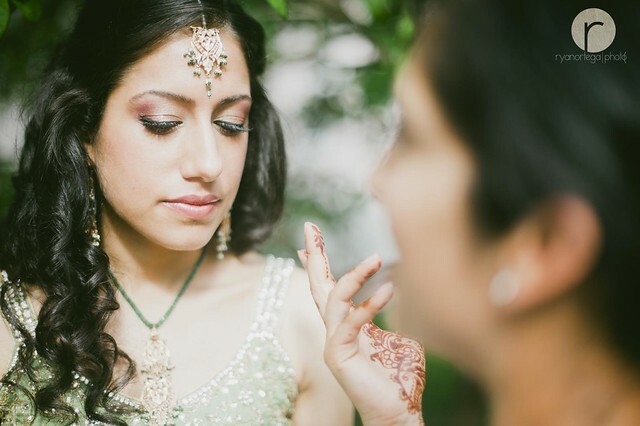 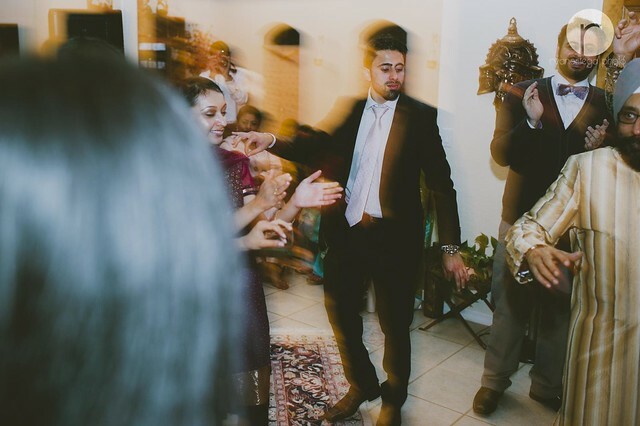 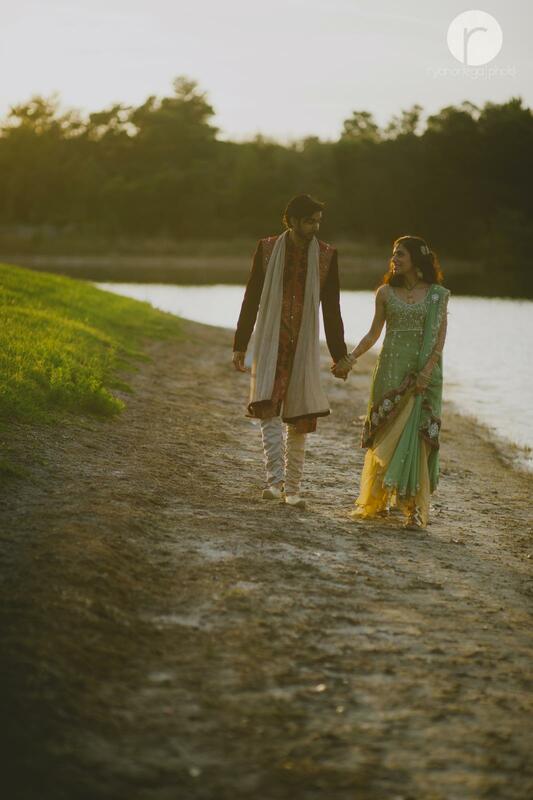 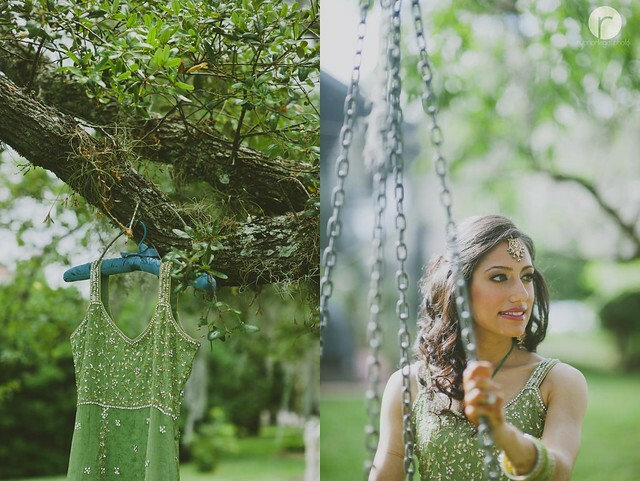 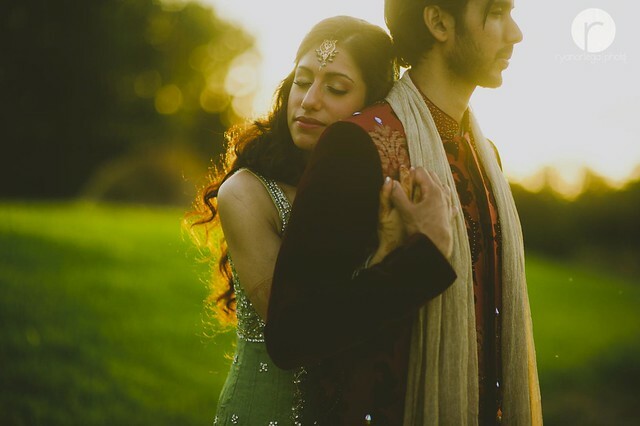 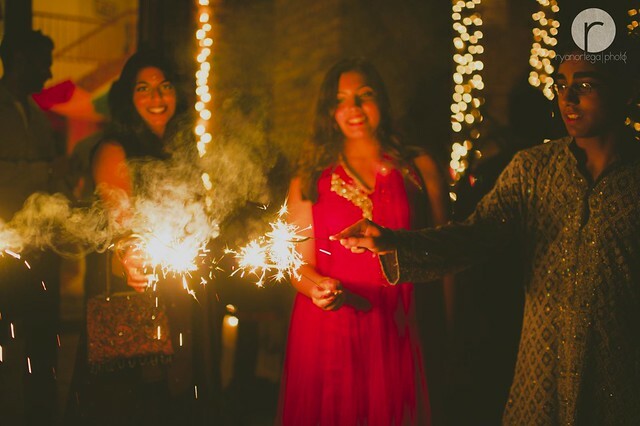 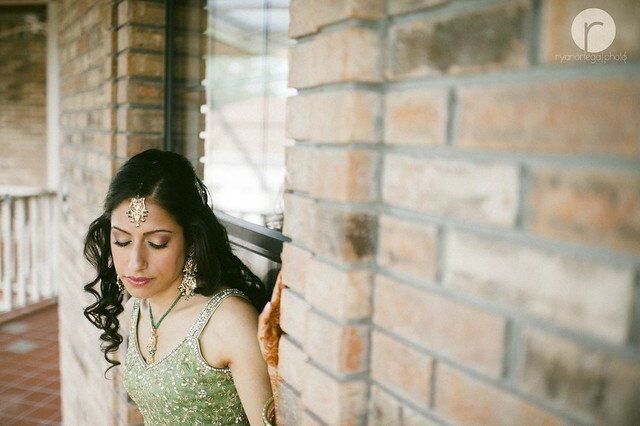 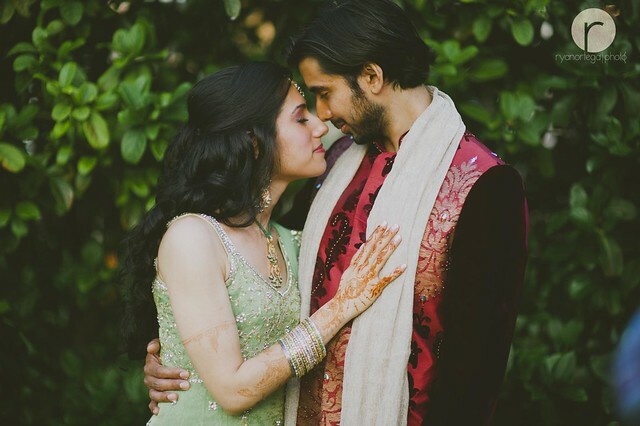 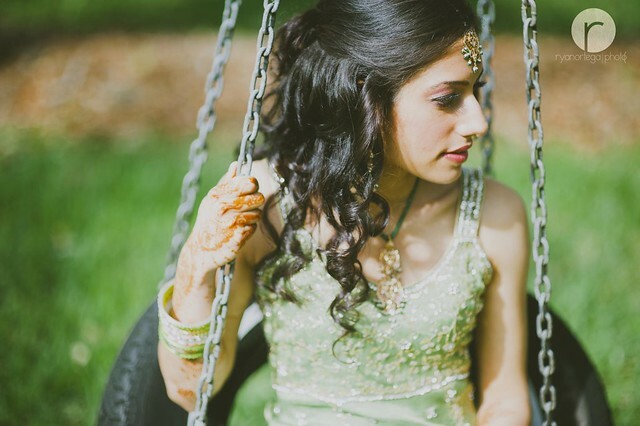 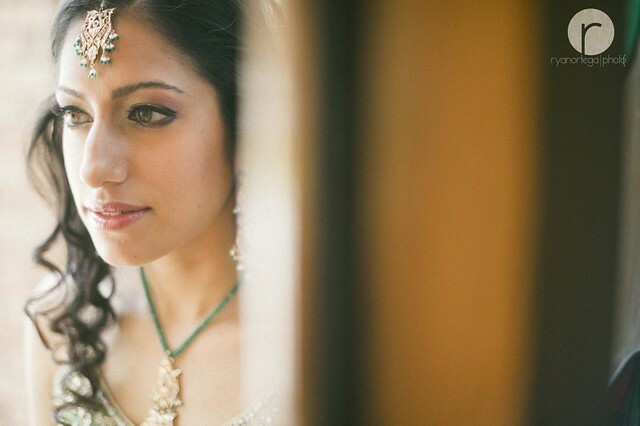 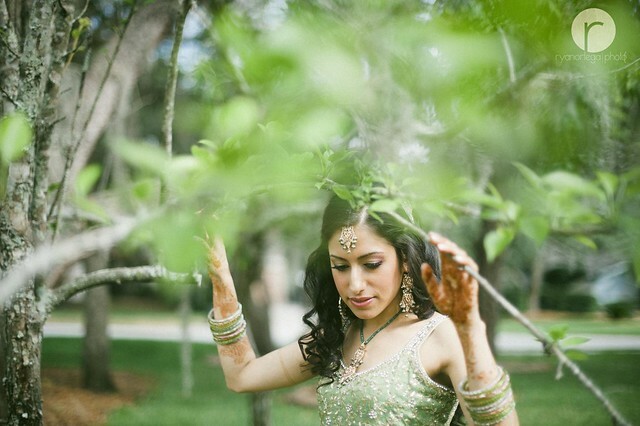 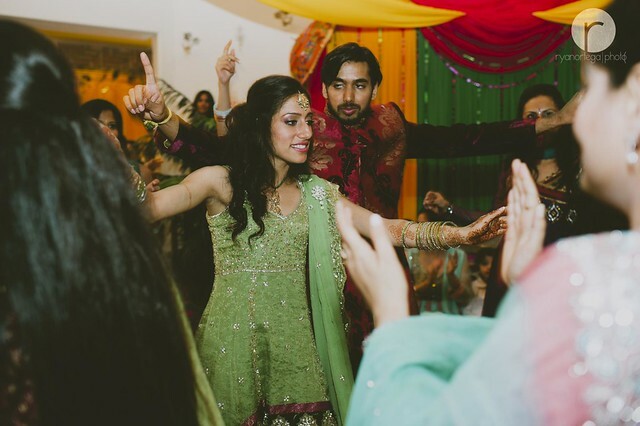 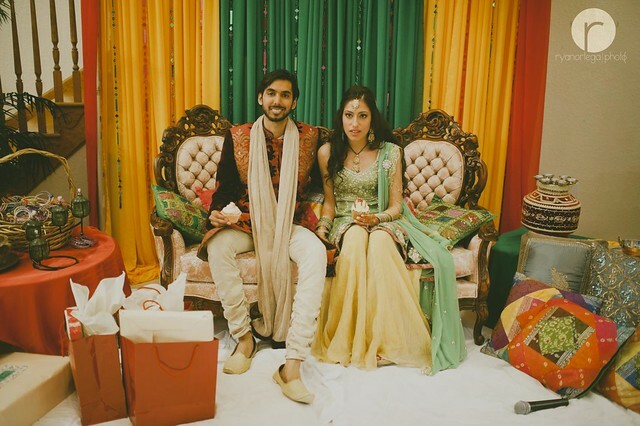 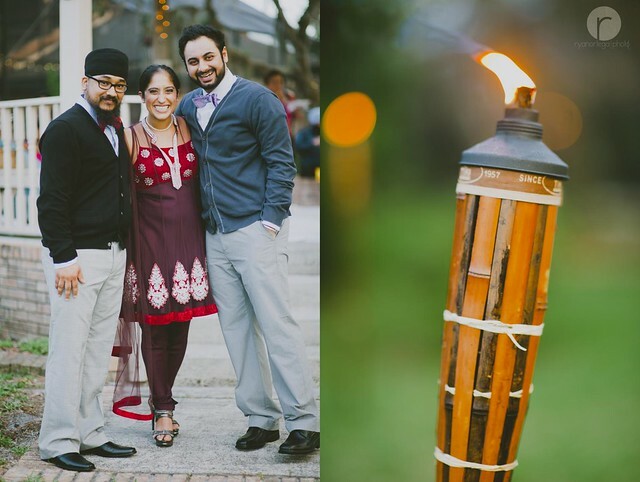 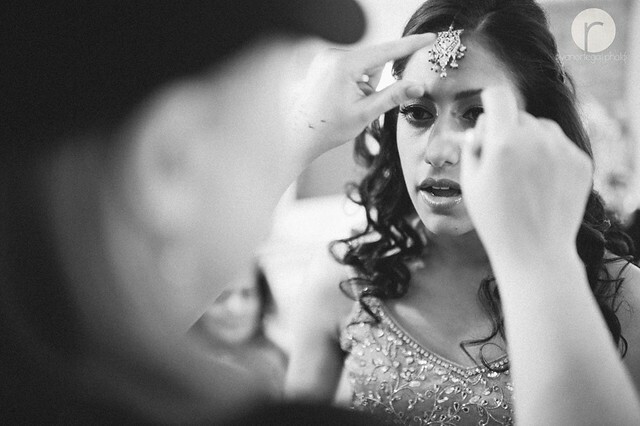 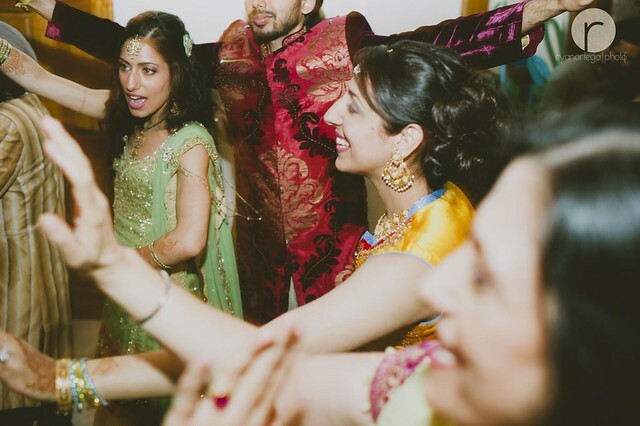 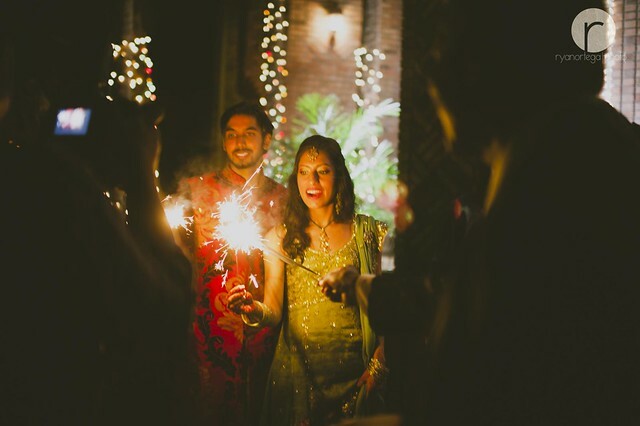 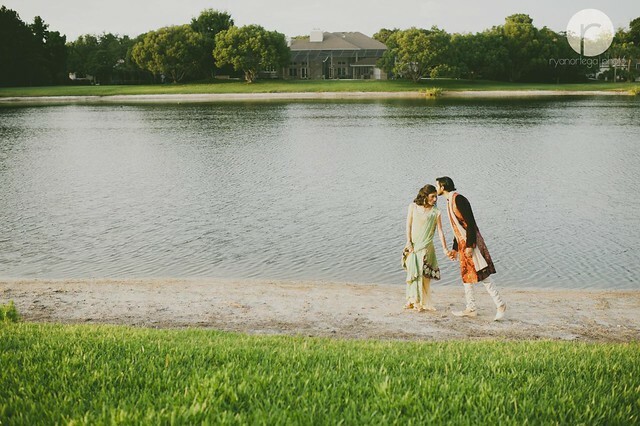 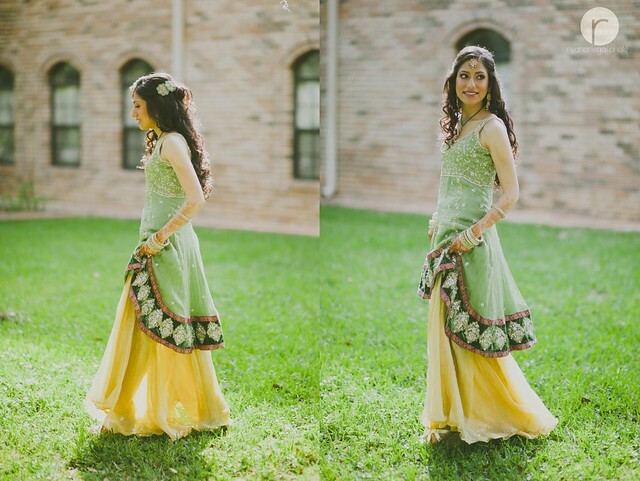 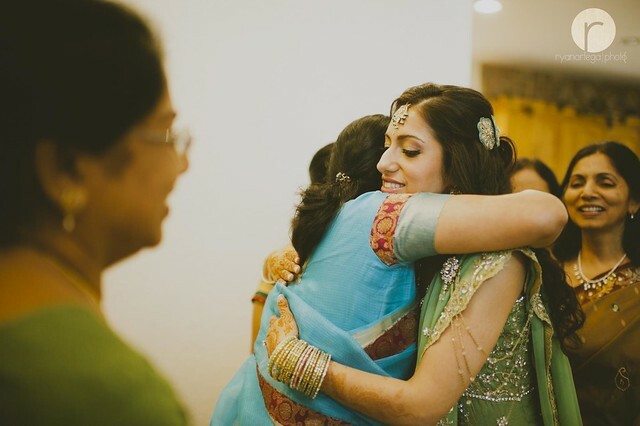 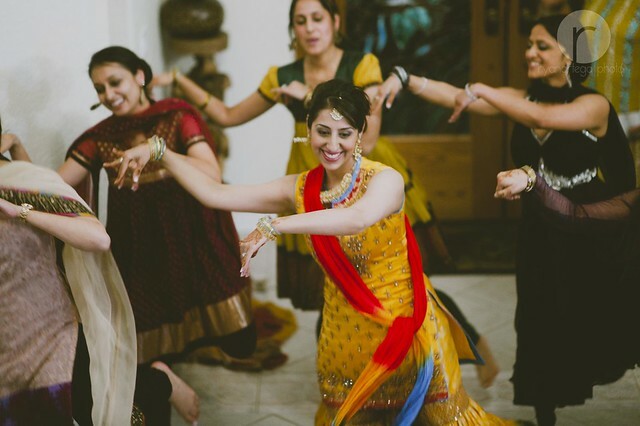 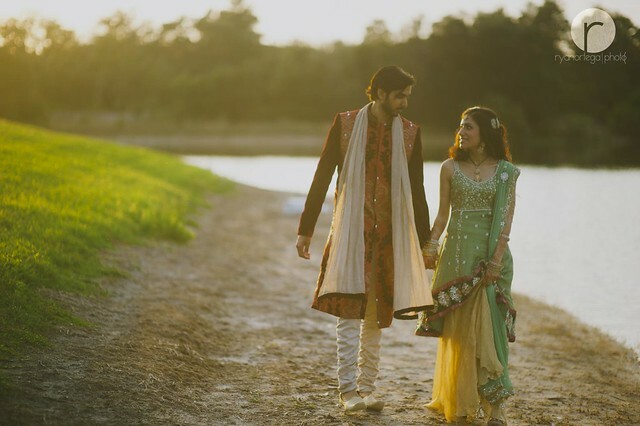 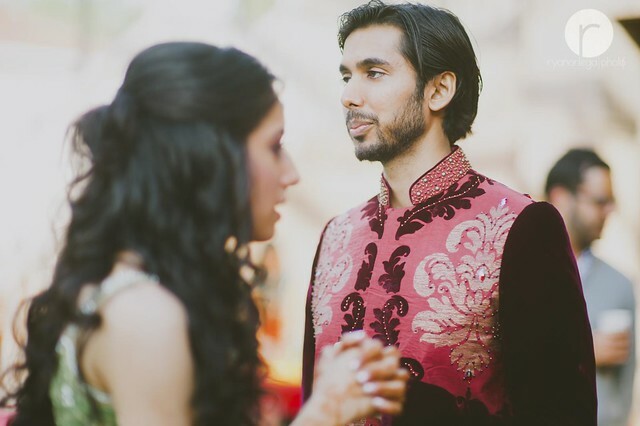 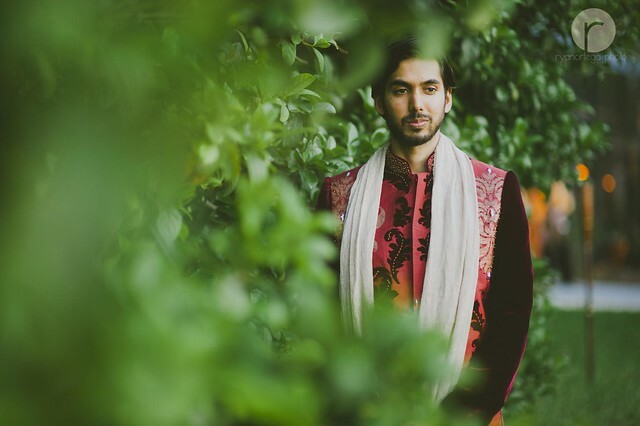 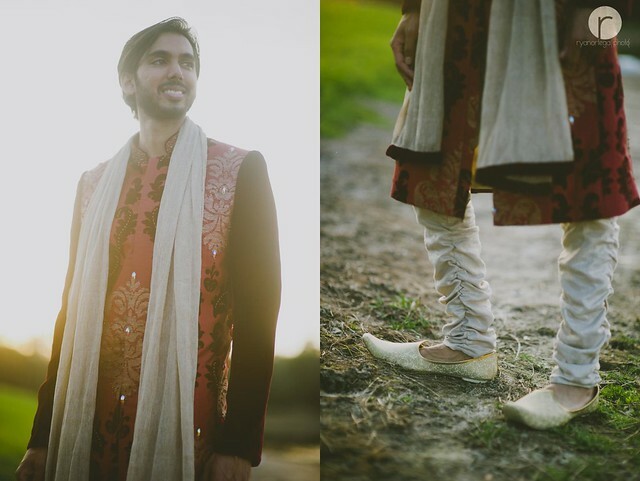 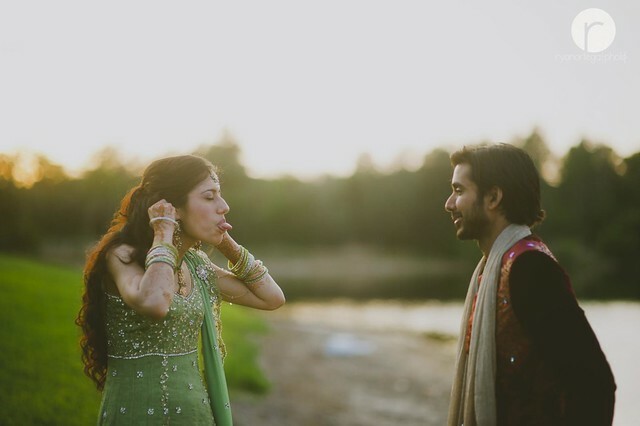 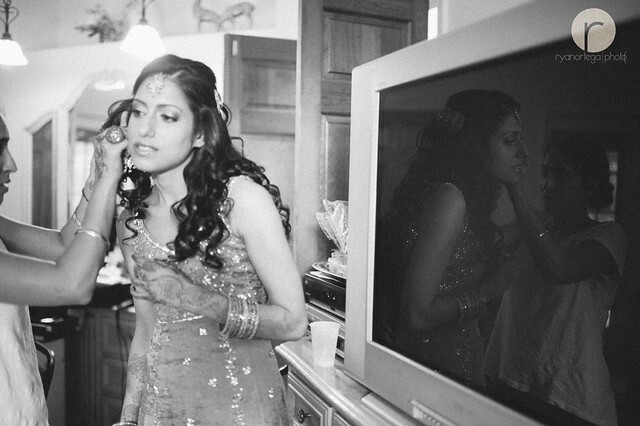 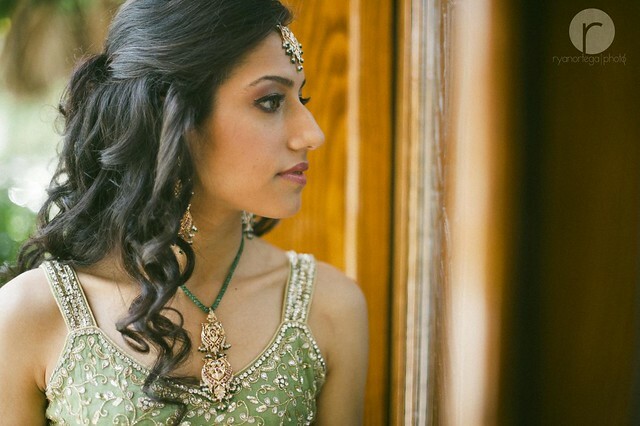 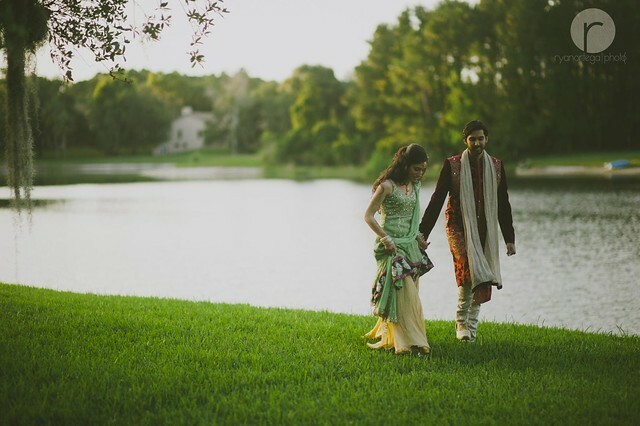 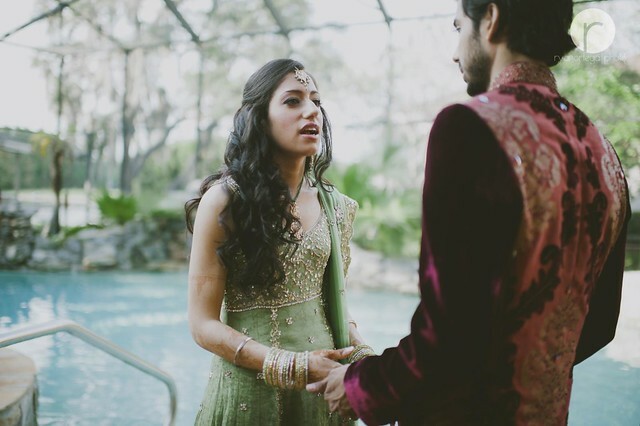 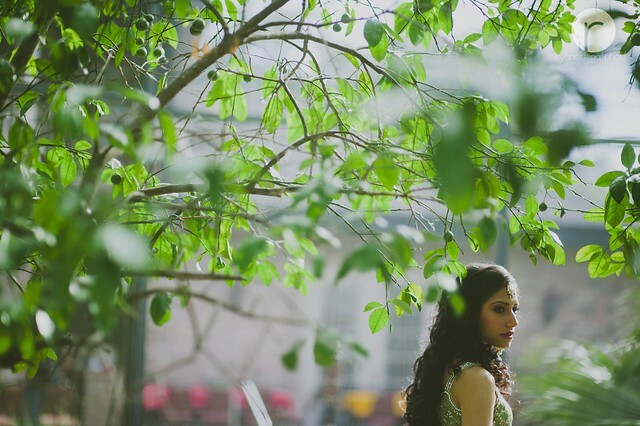 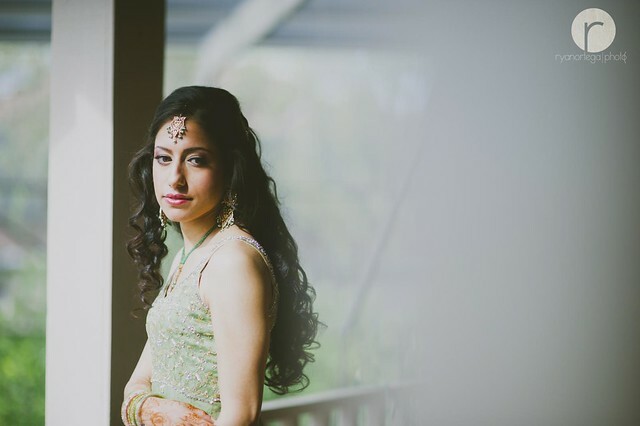 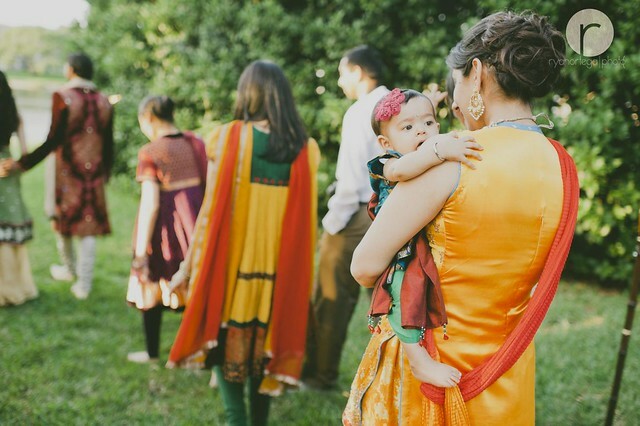 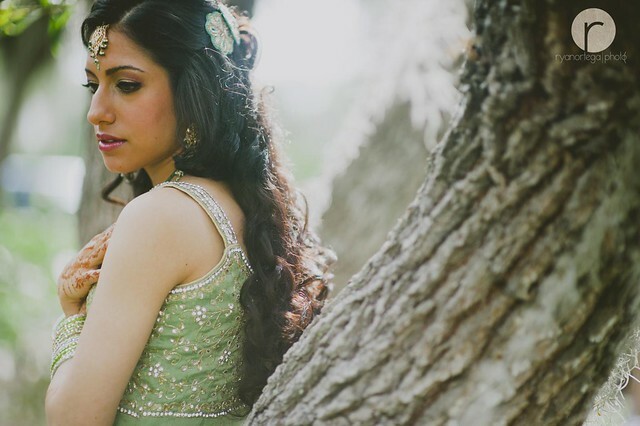 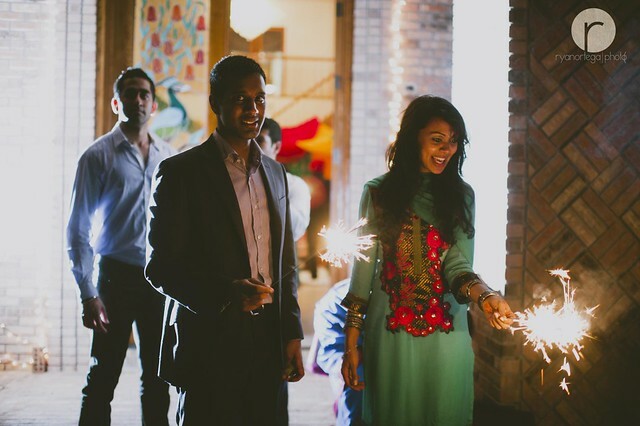 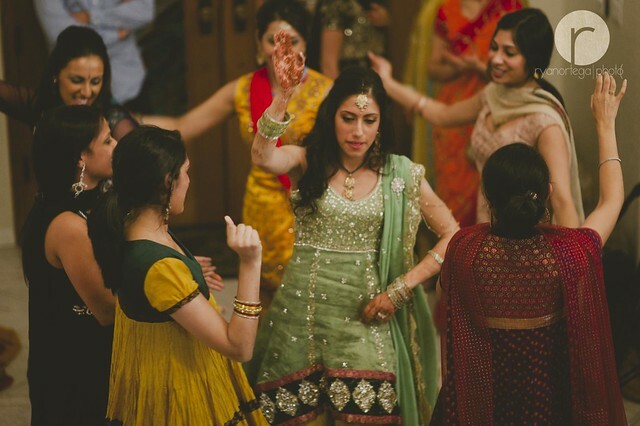 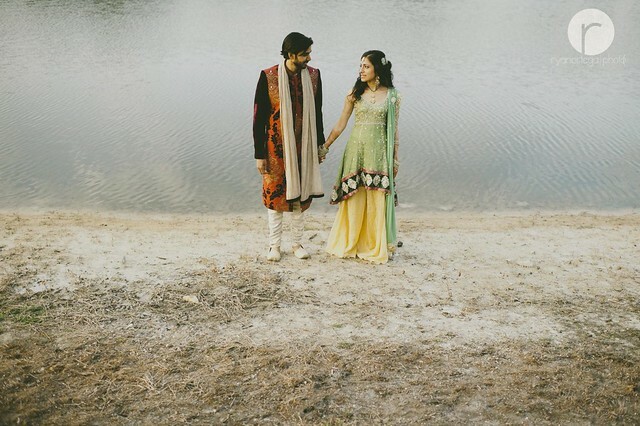 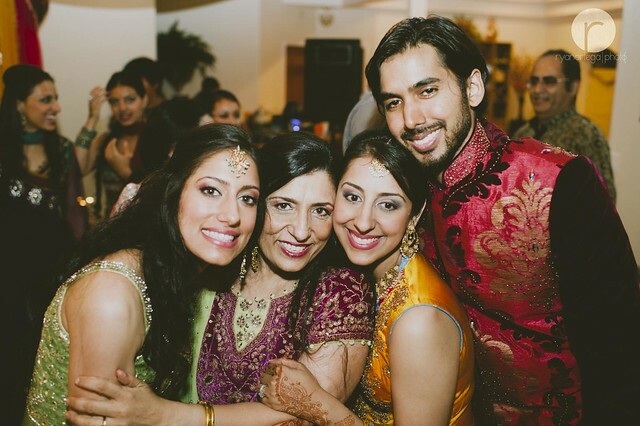 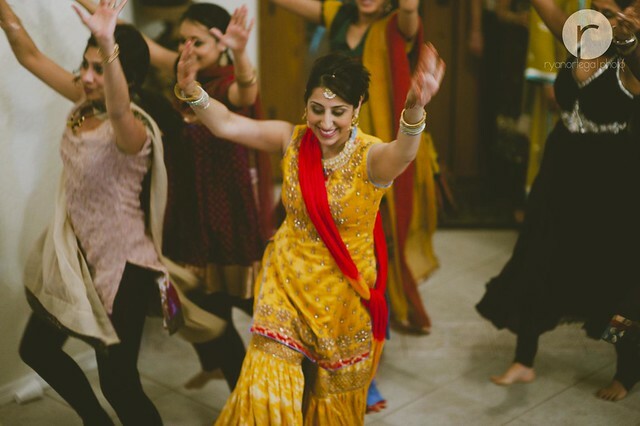 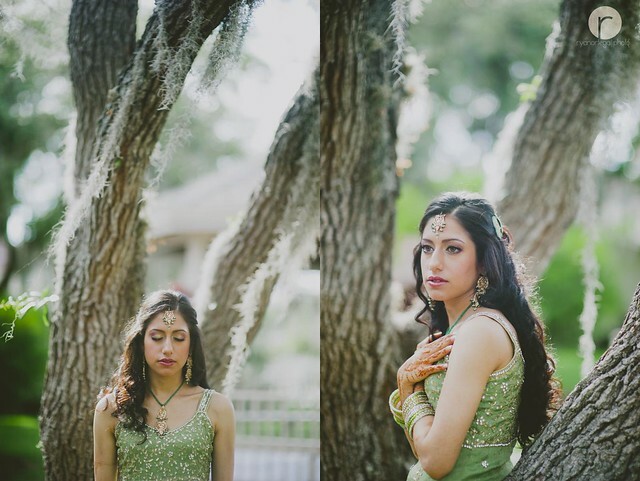 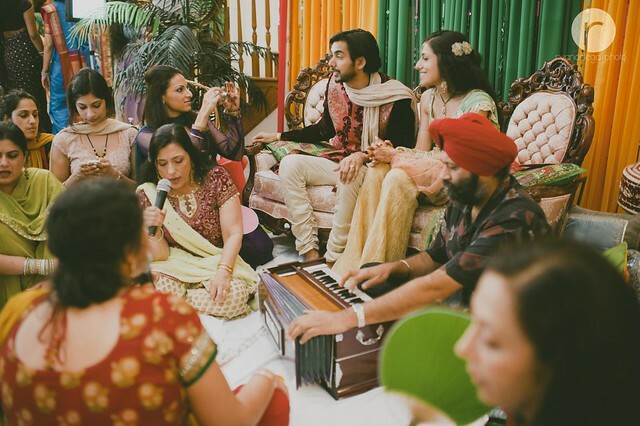 Sometimes the bride and groom will choose to hold a separate Sangeet to Ladies’ Sangeet. 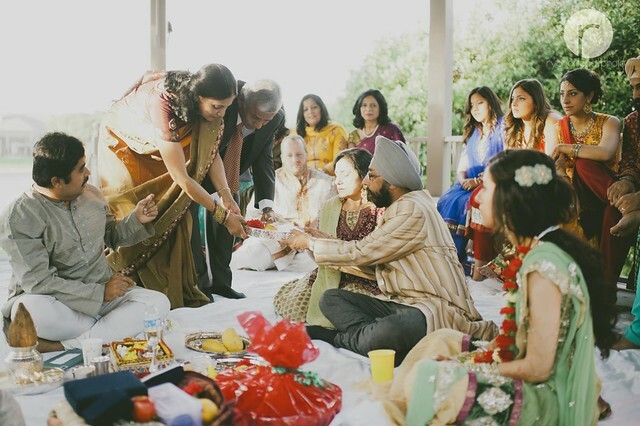 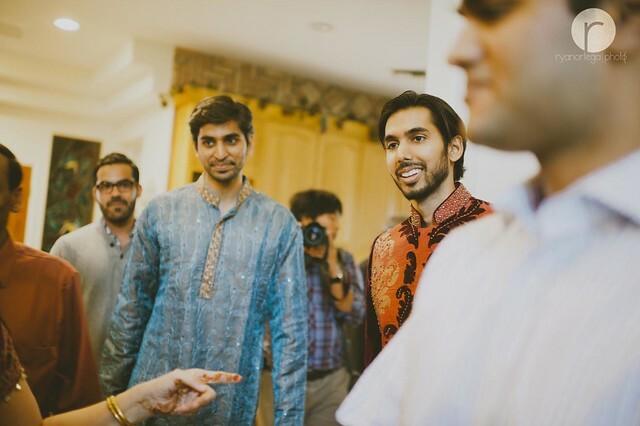 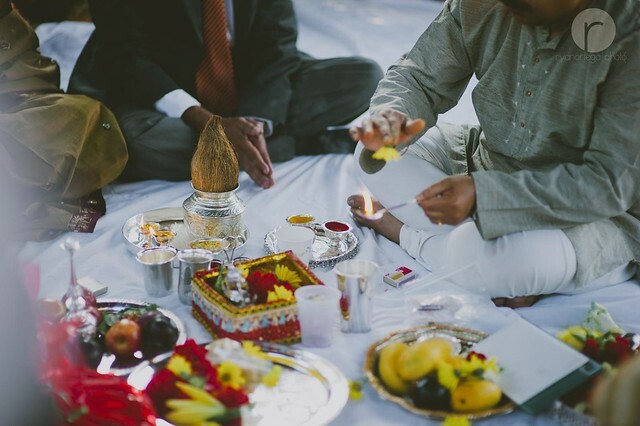 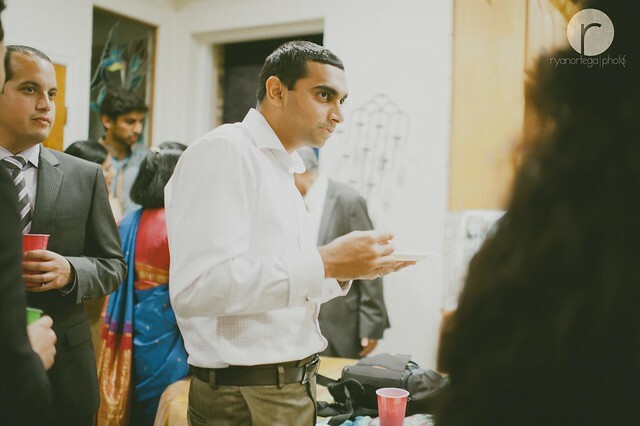 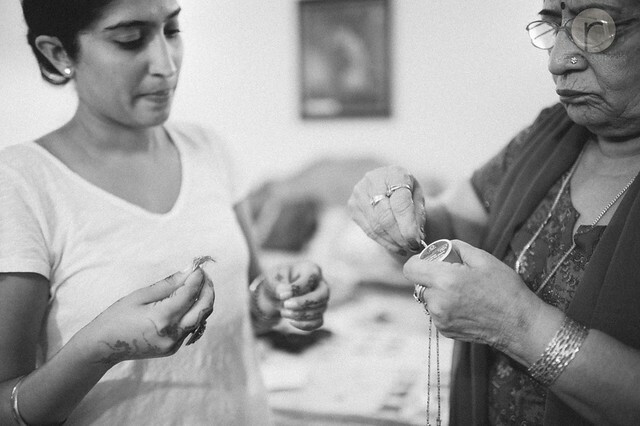 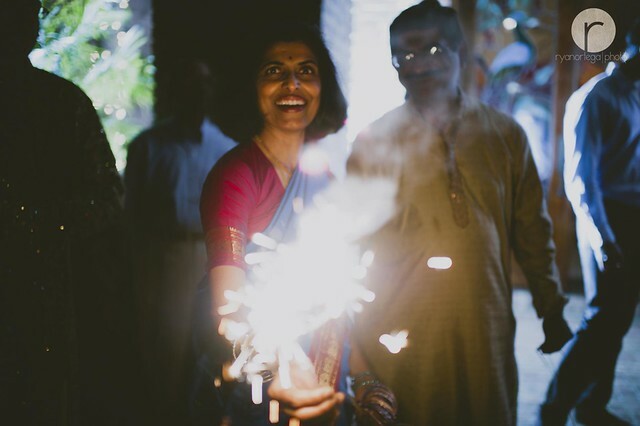 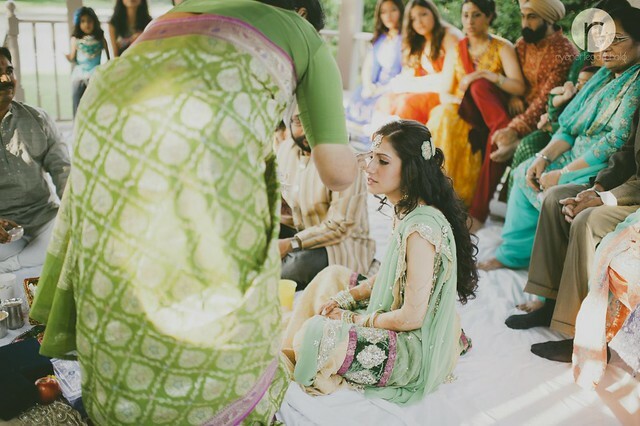 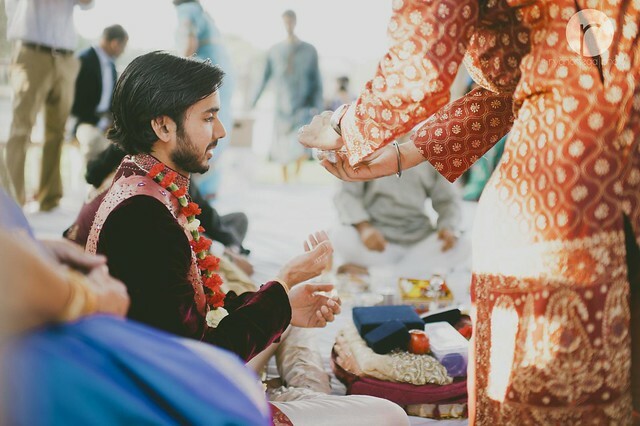 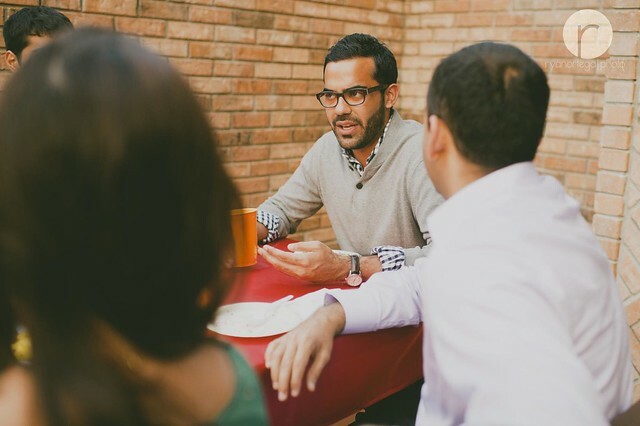 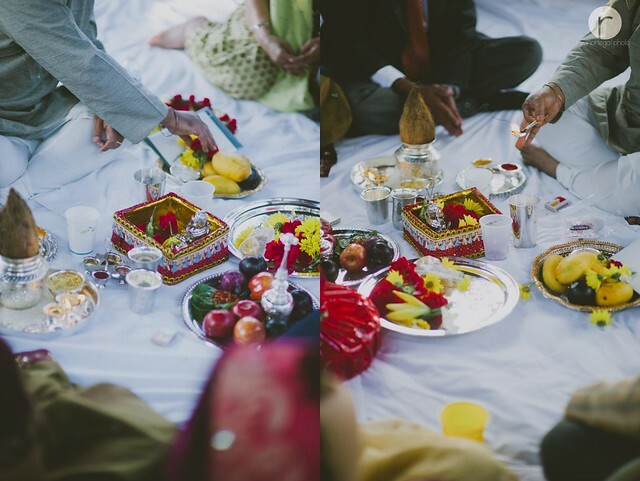 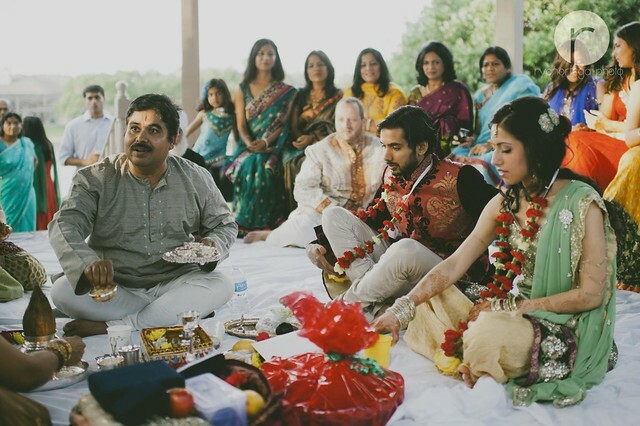 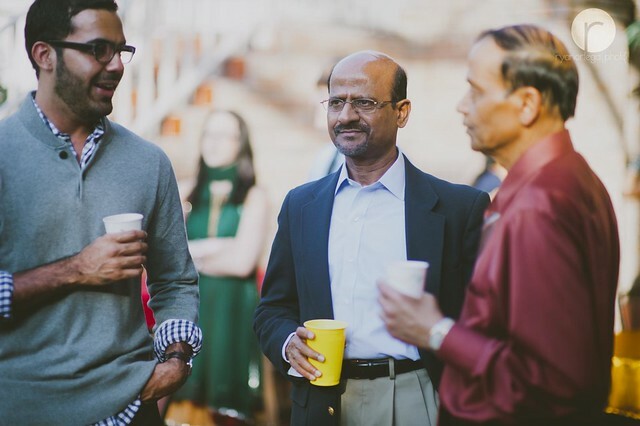 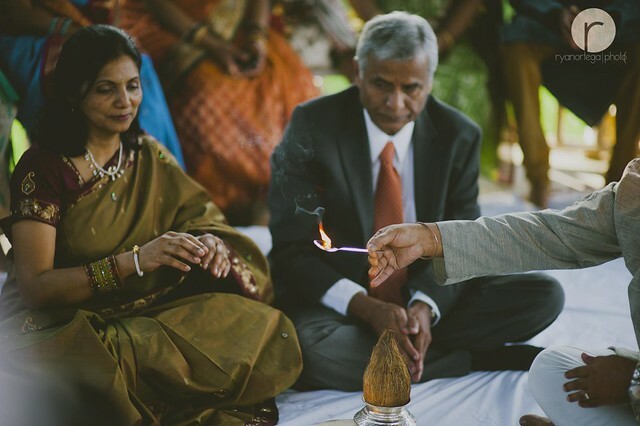 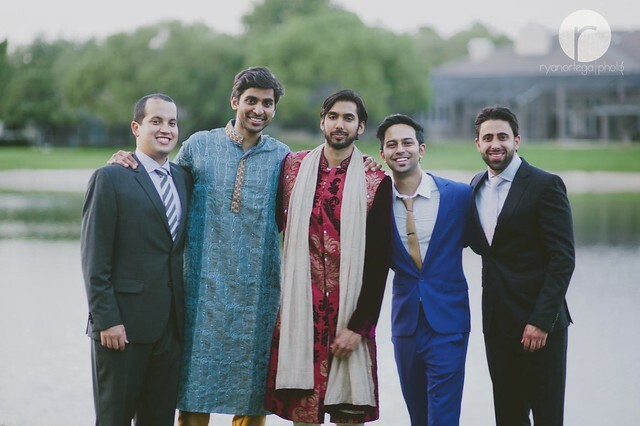 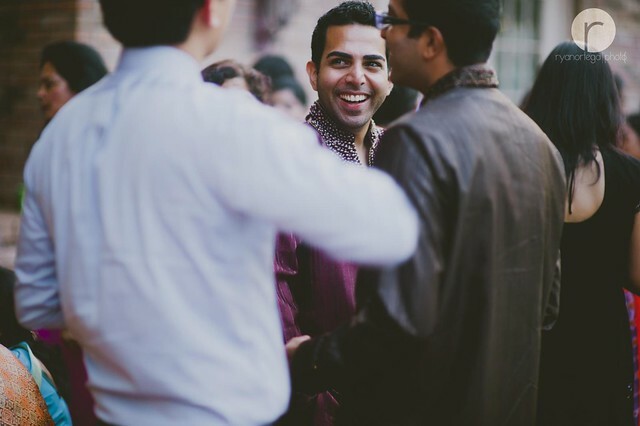 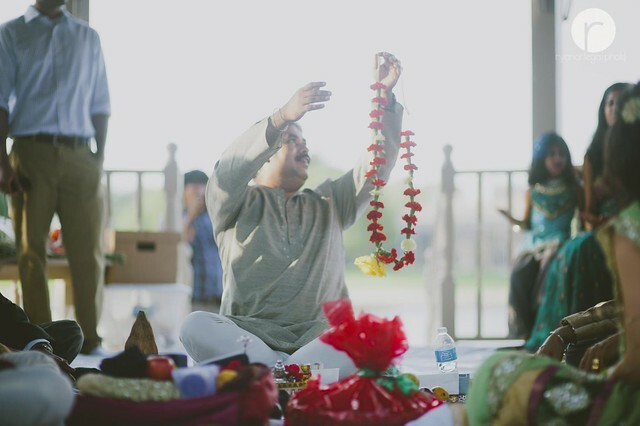 At this Sangeet both men and women can participate. 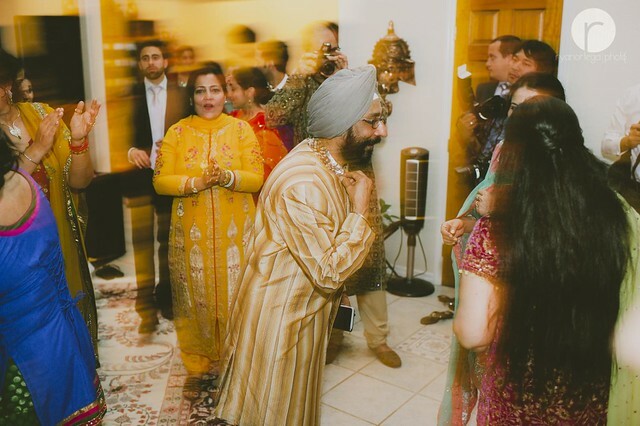 It is a joyous occasion where the family and friends of the couple perform dances to celebrate the upcoming wedding.